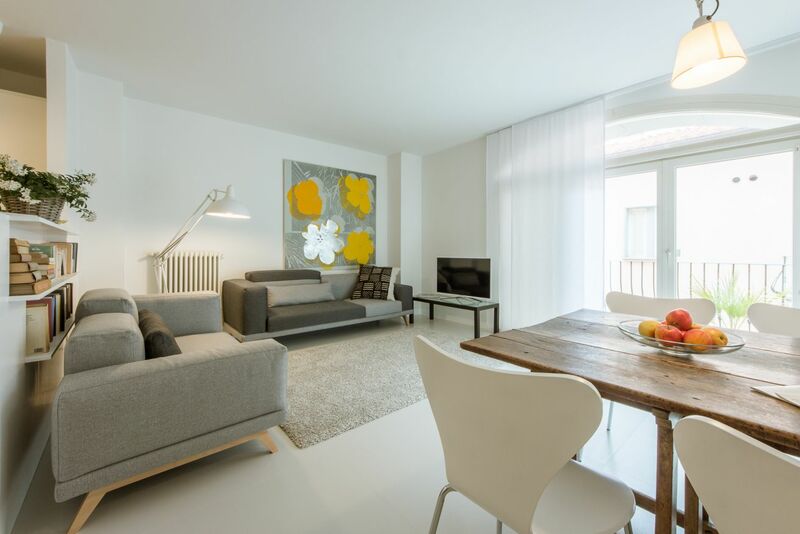 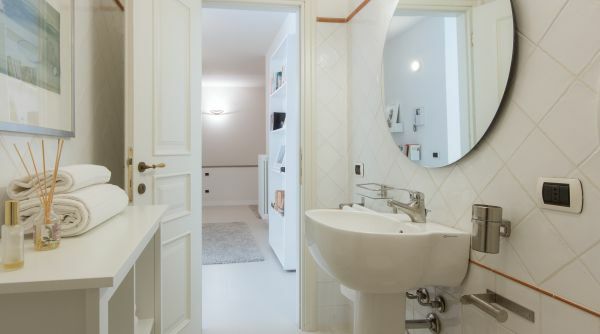 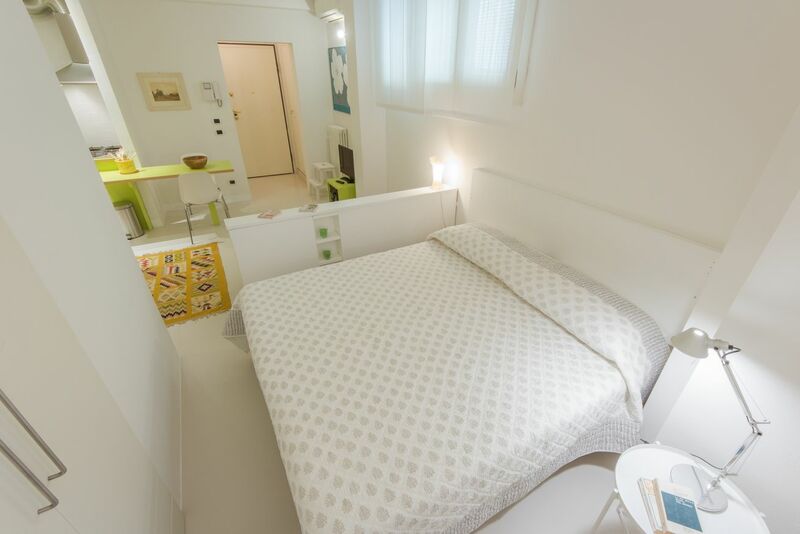 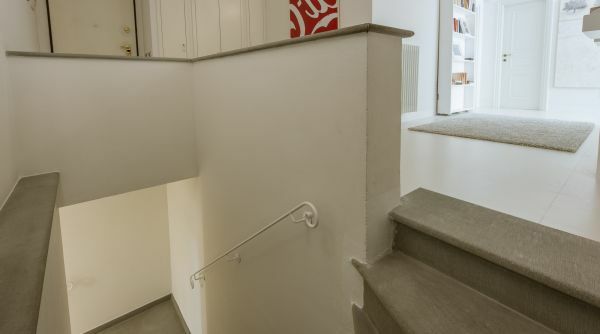 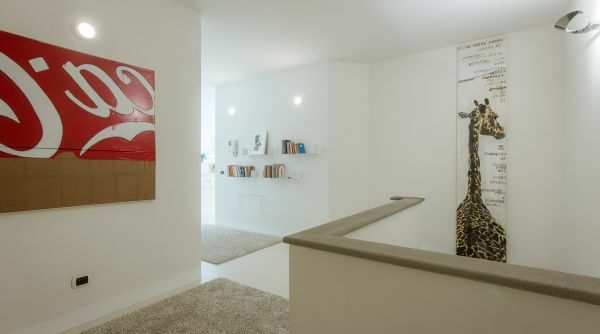 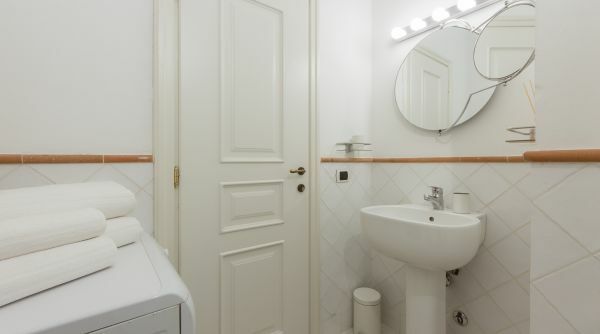 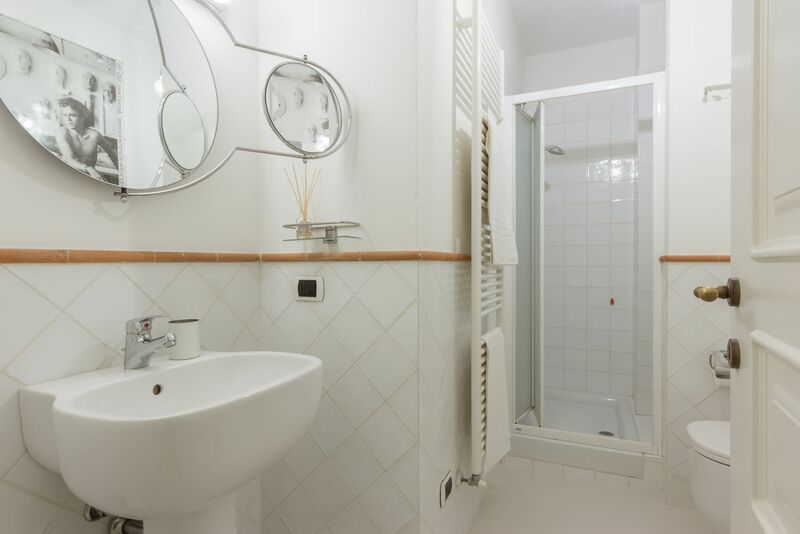 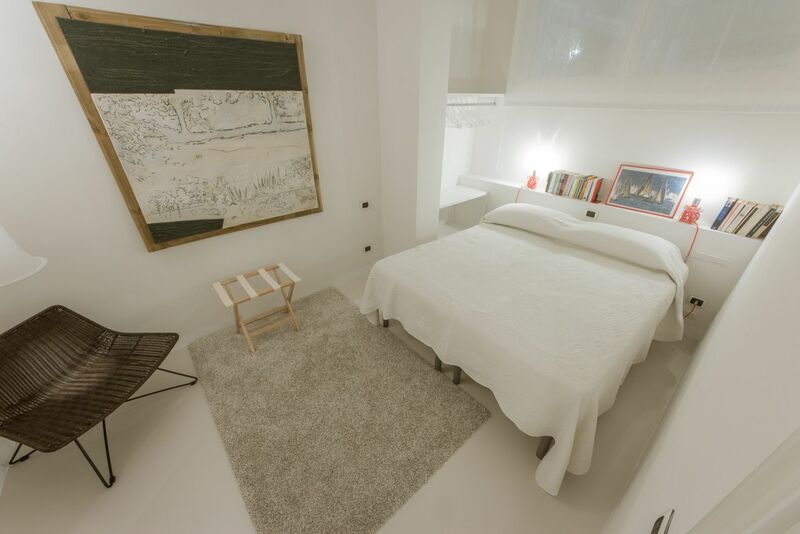 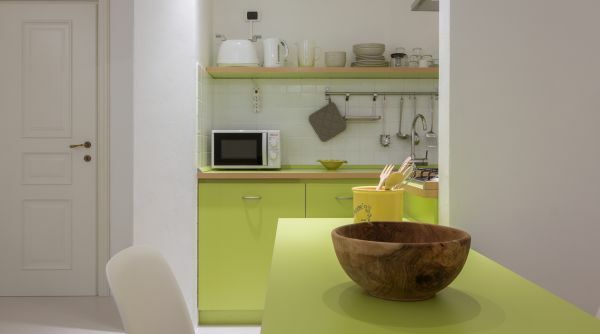 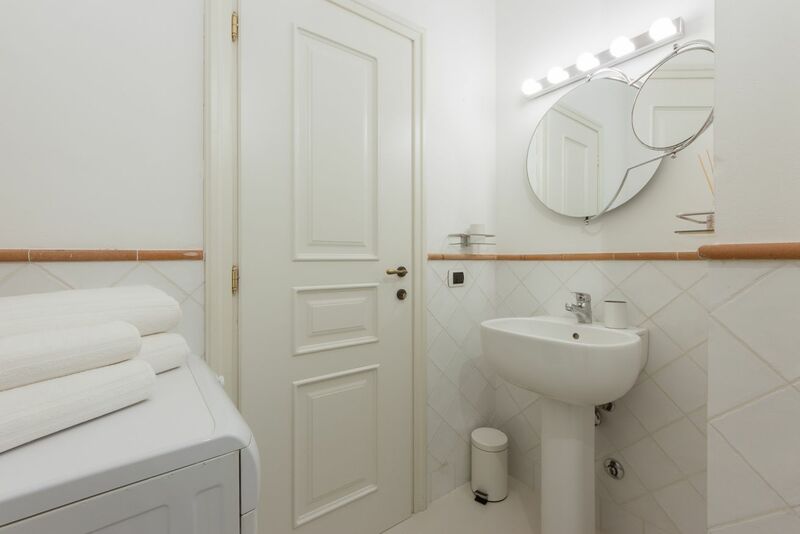 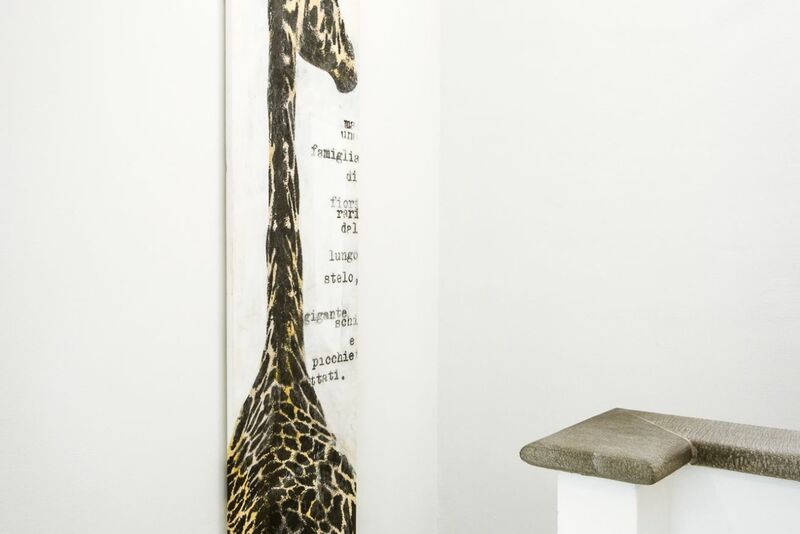 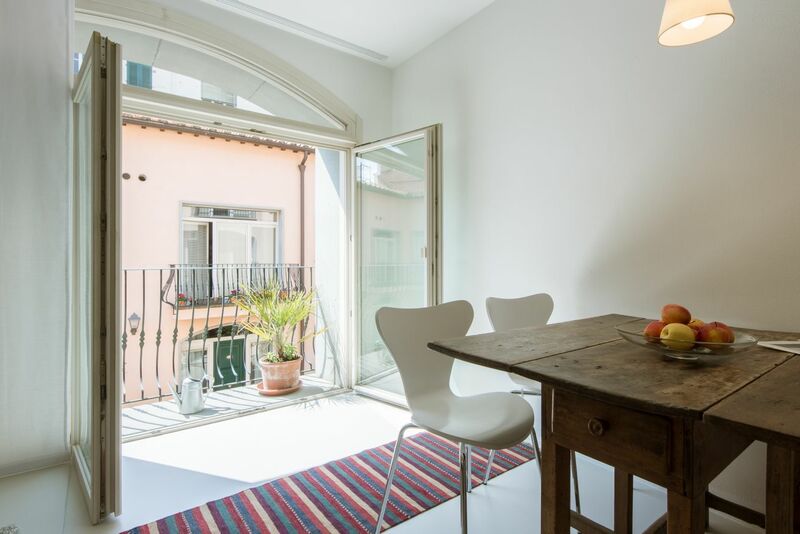 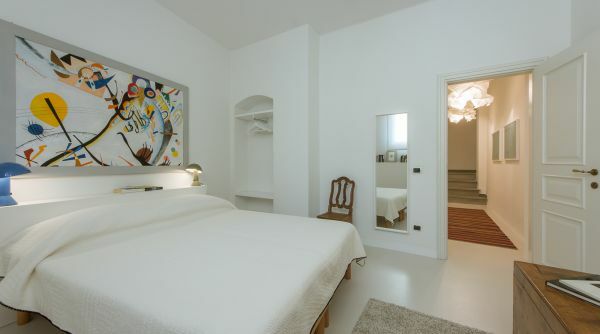 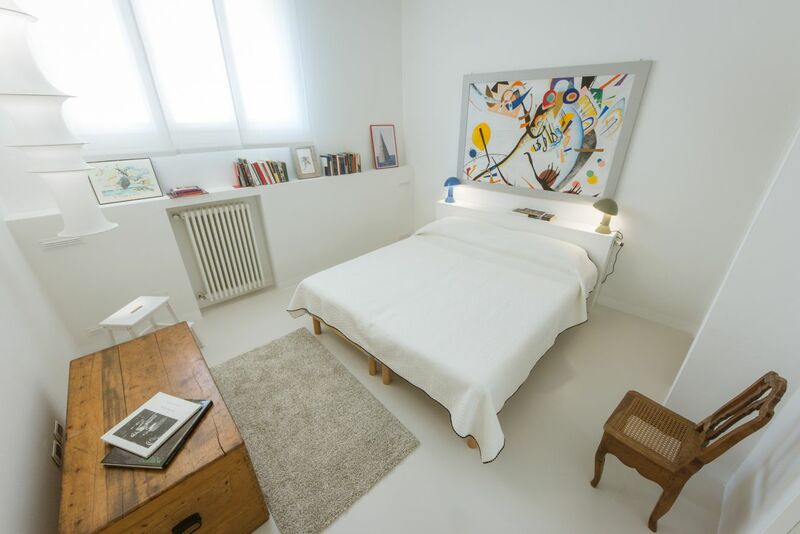 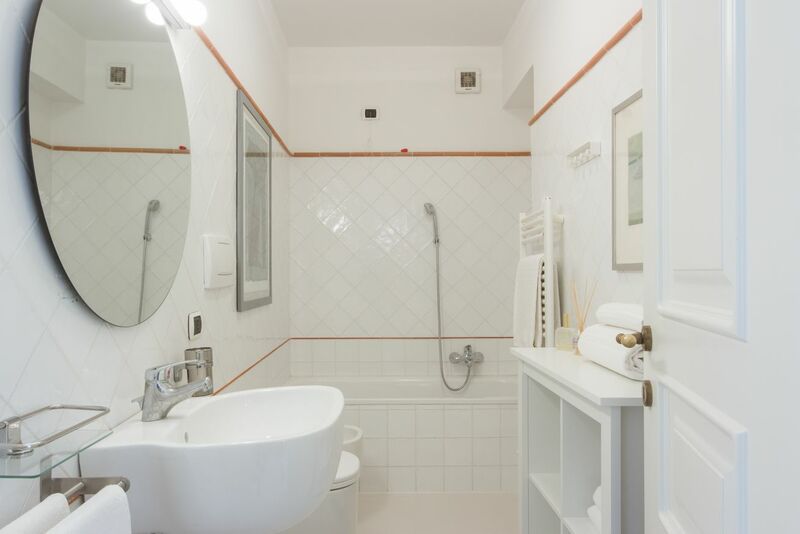 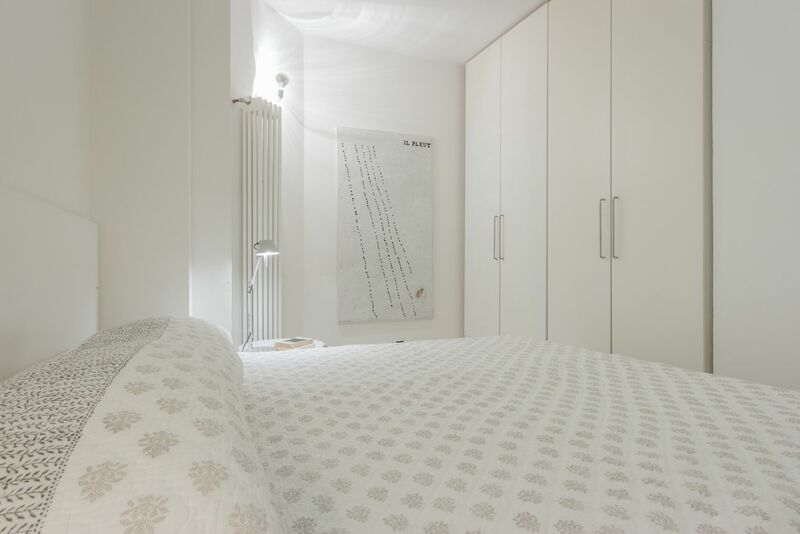 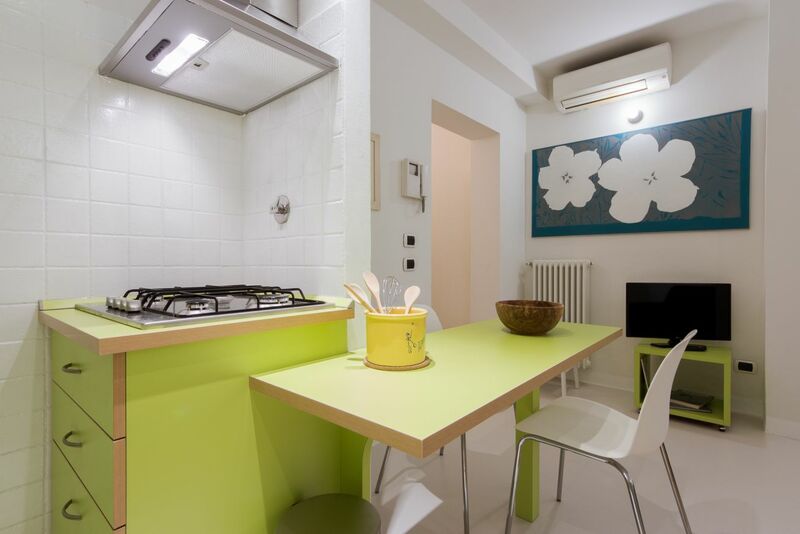 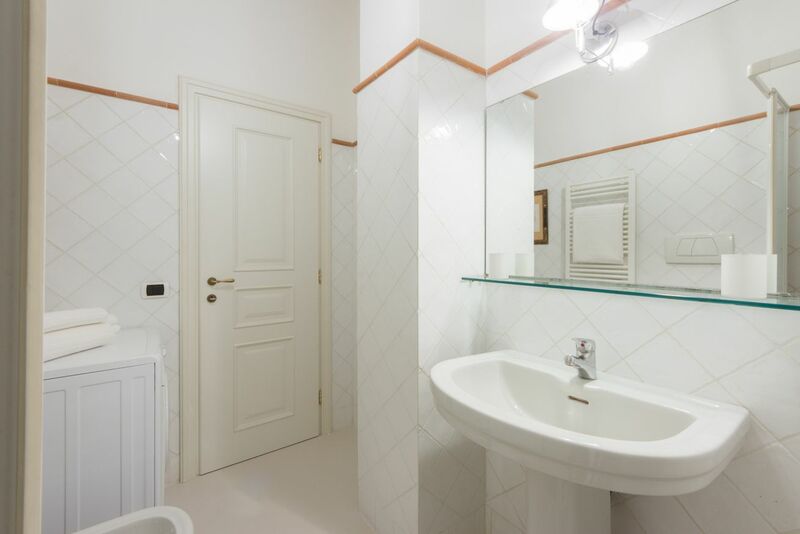 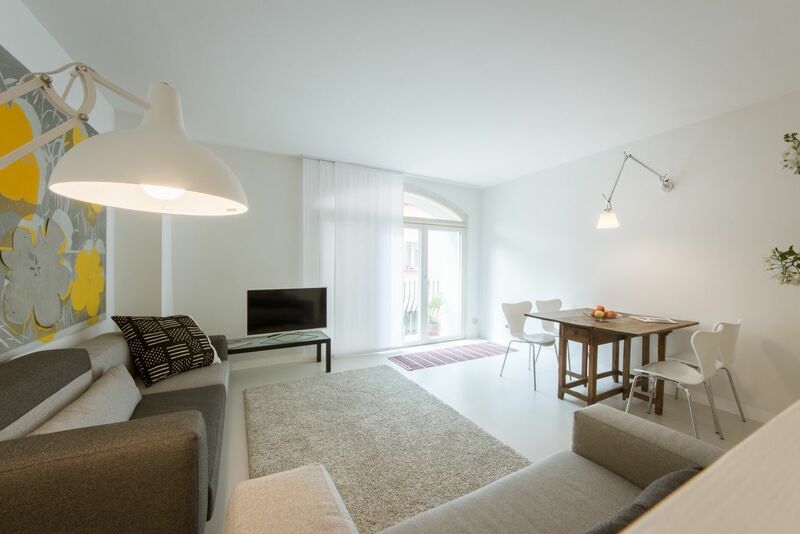 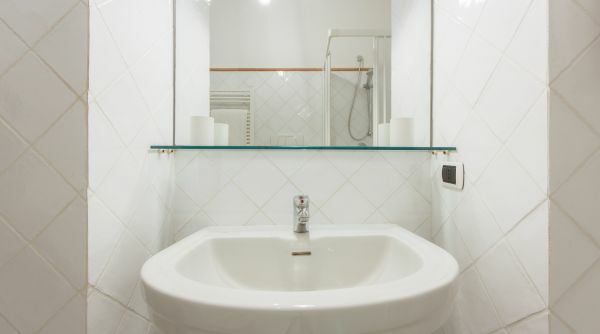 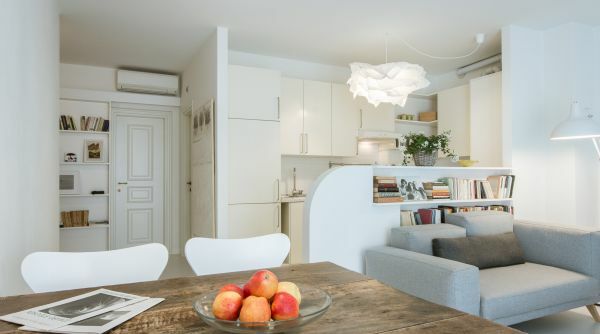 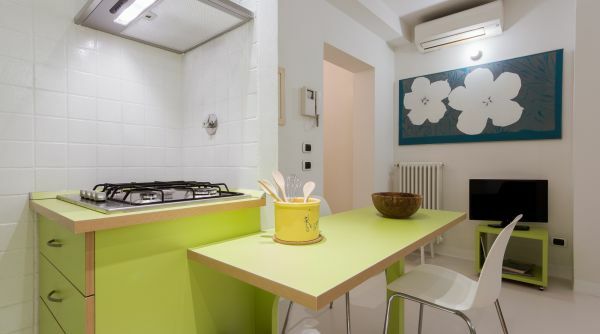 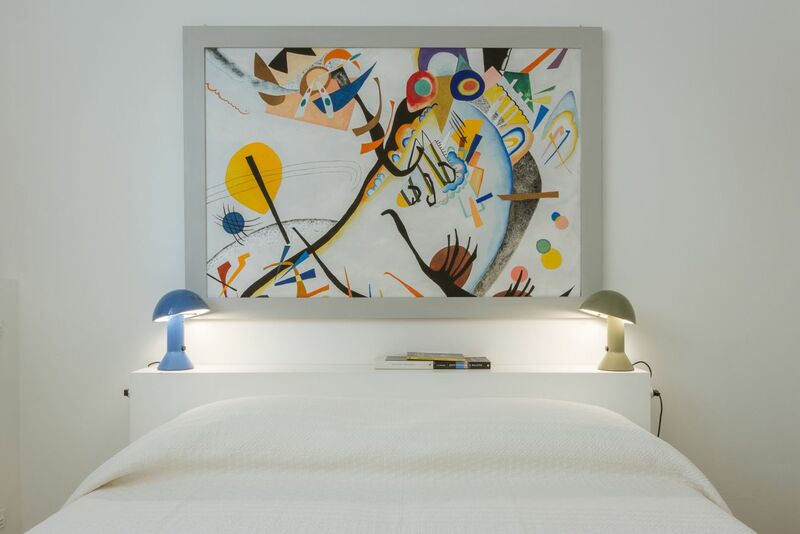 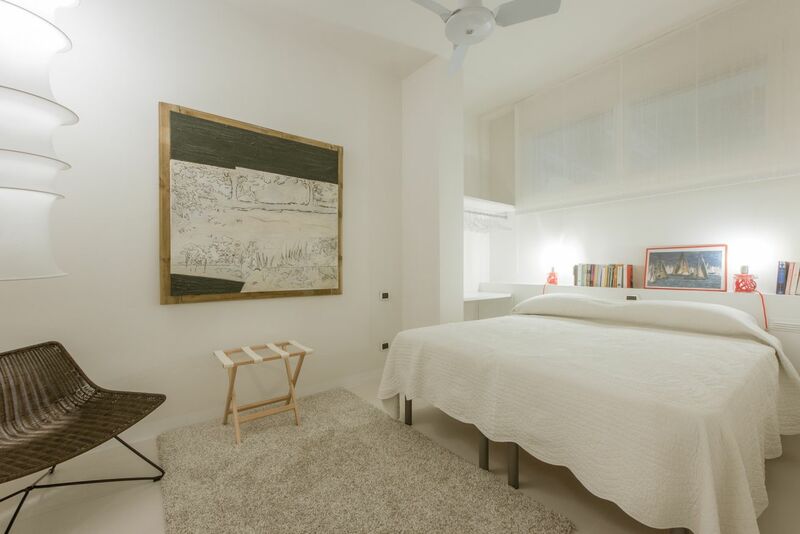 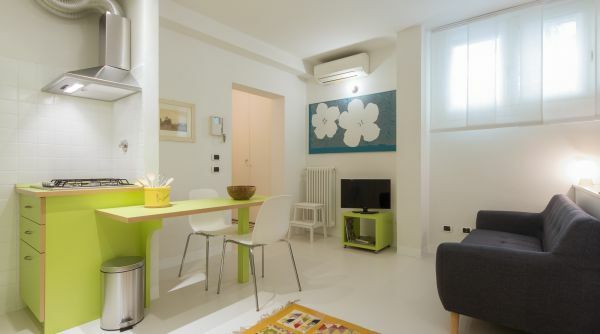 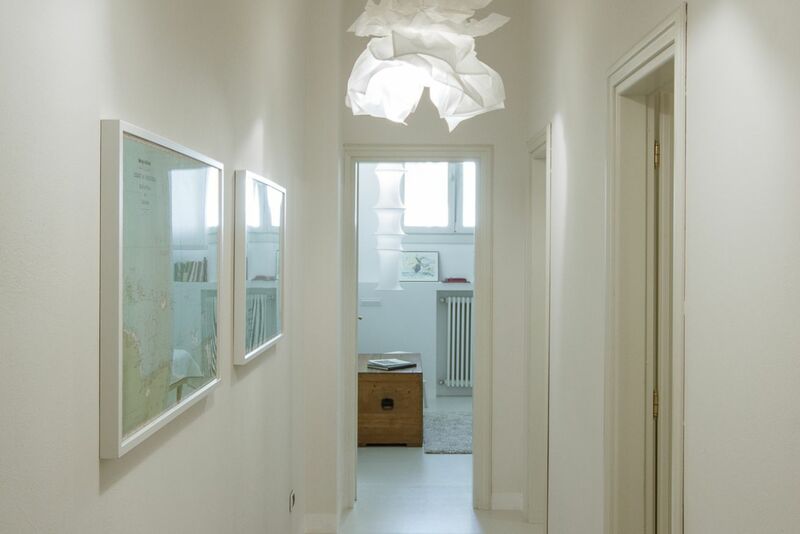 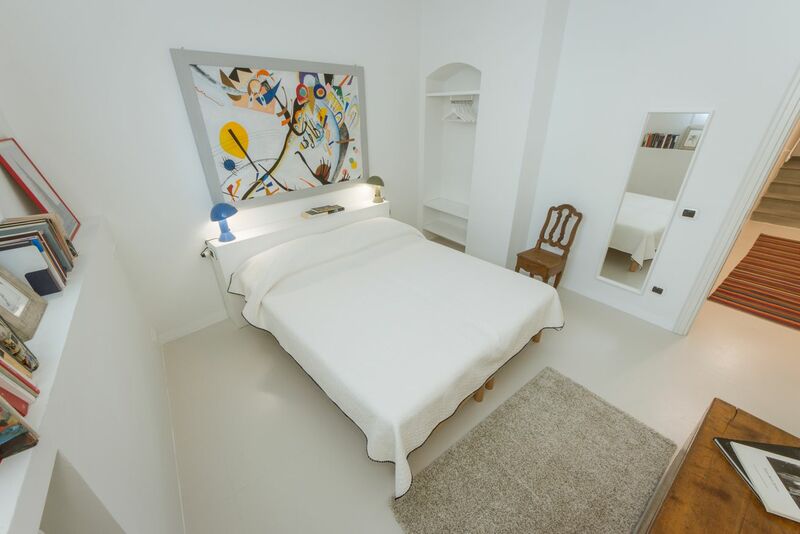 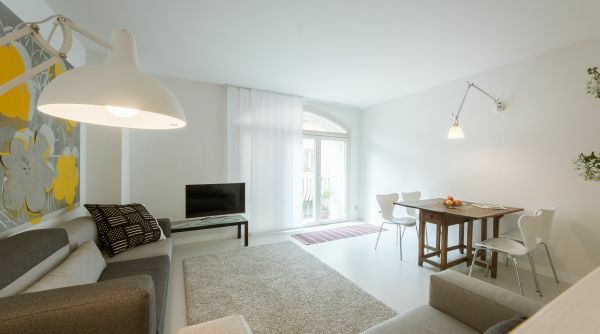 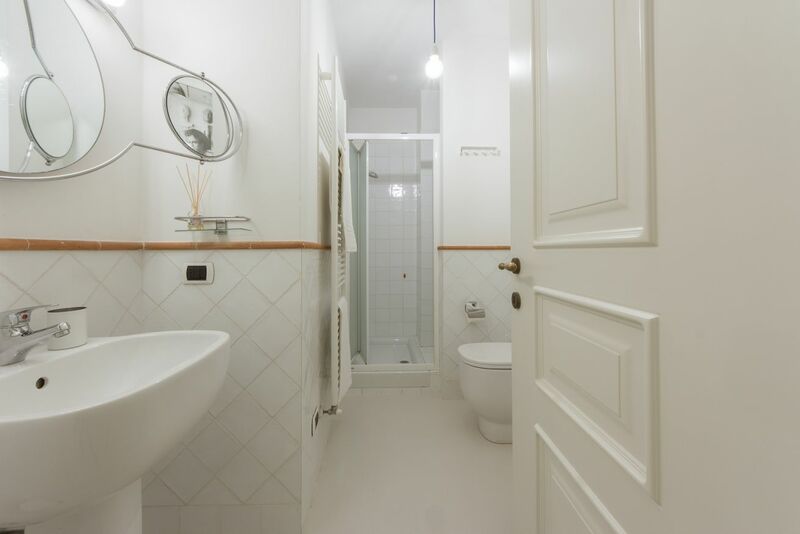 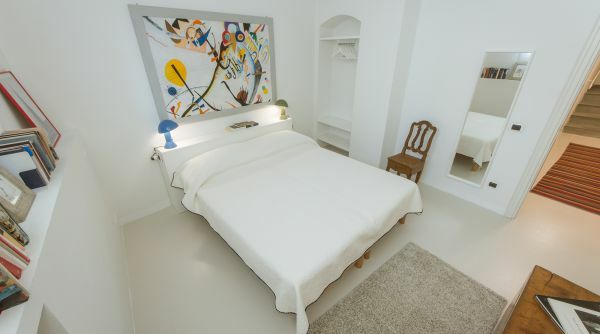 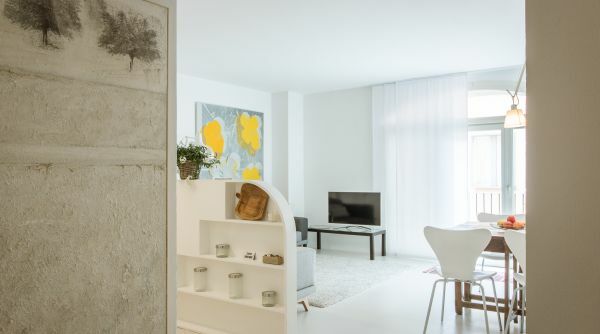 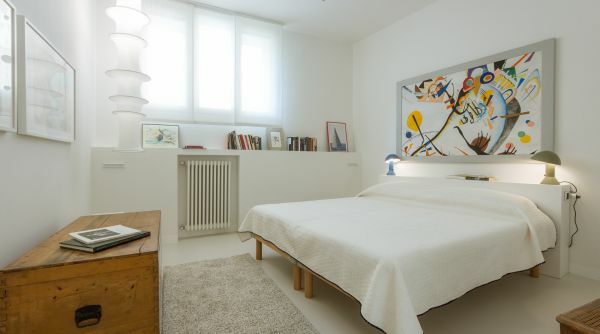 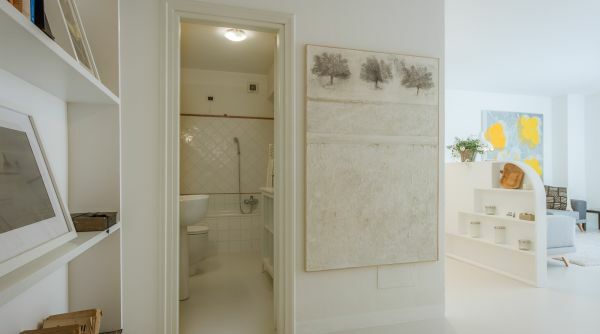 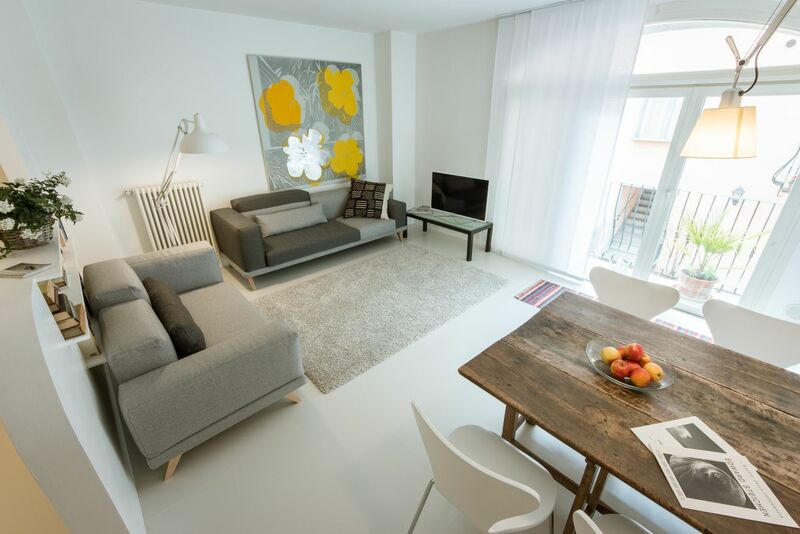 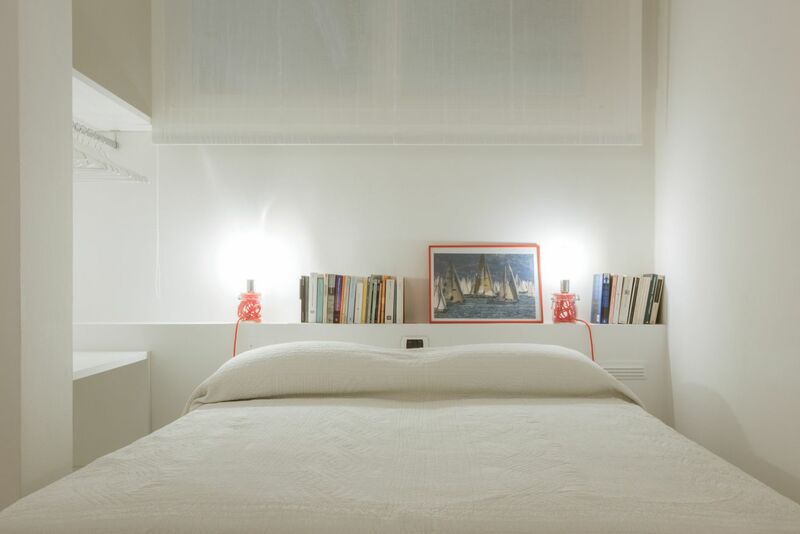 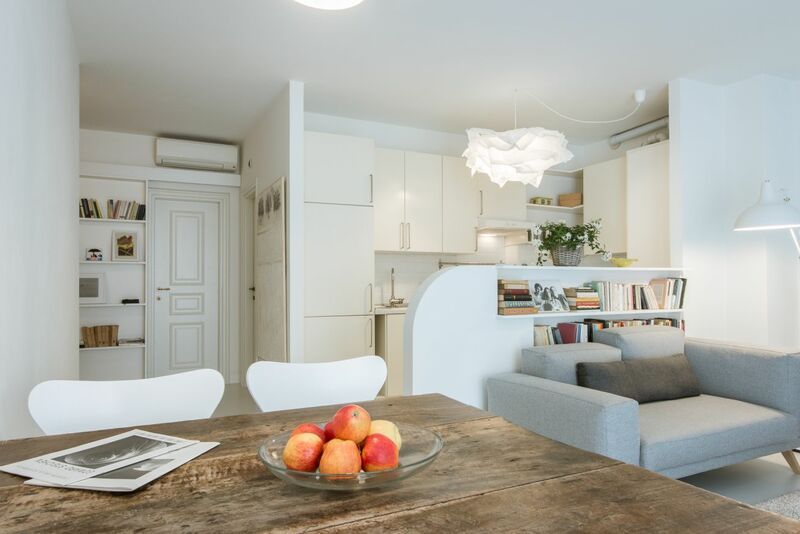 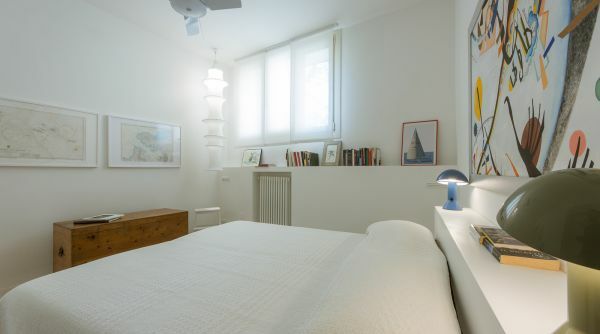 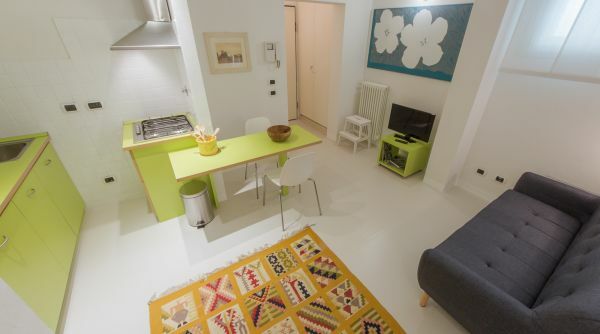 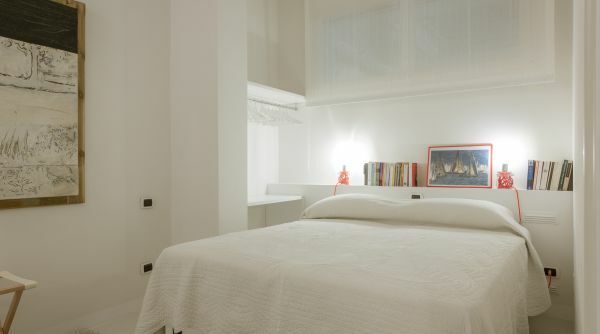 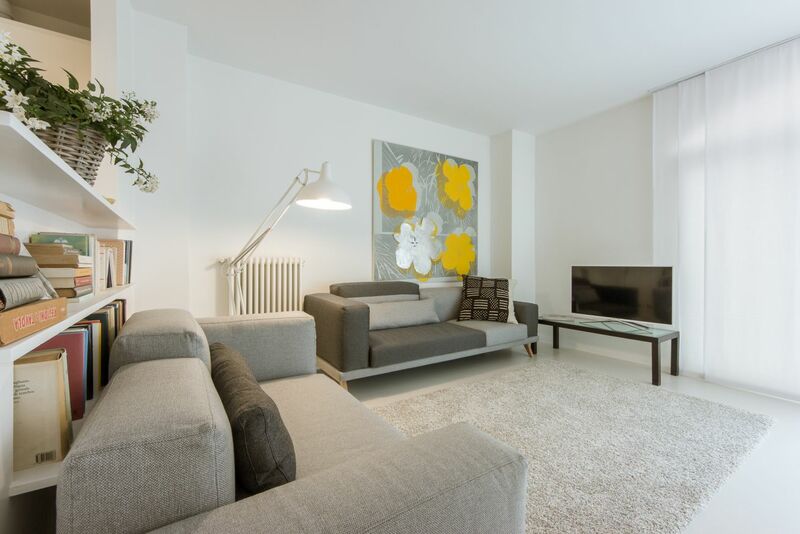 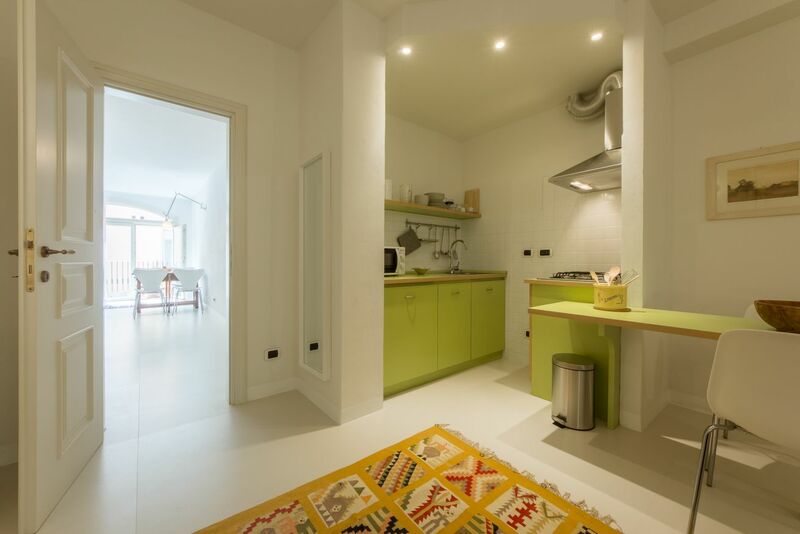 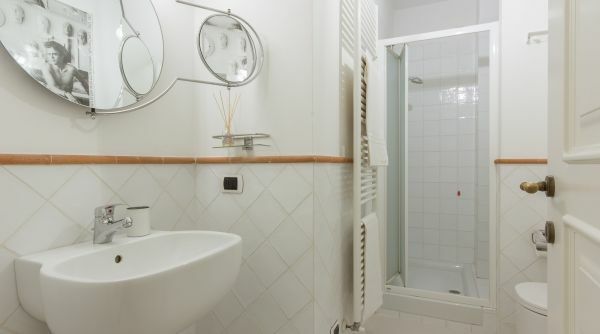 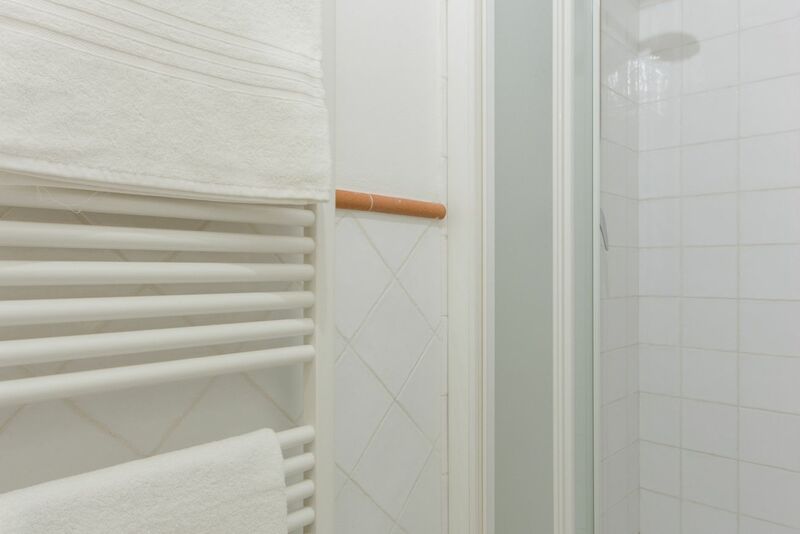 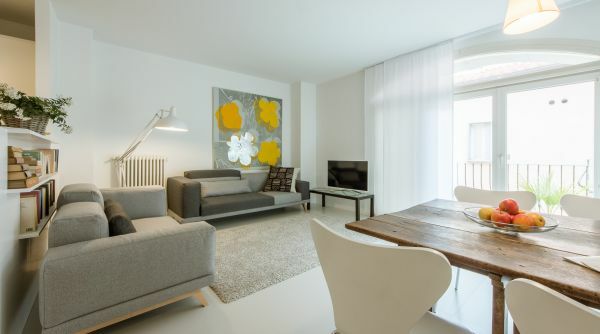 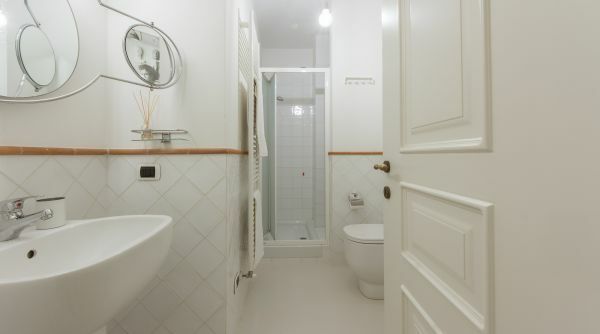 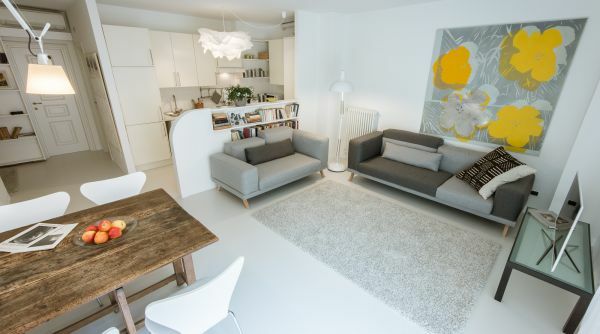 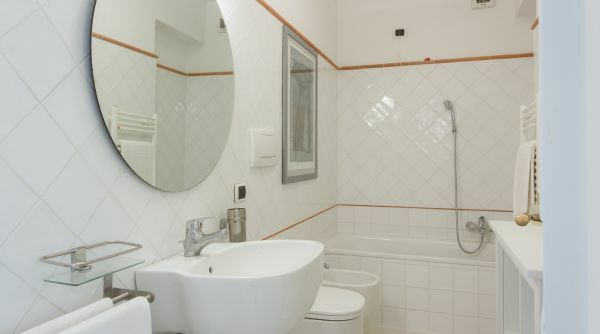 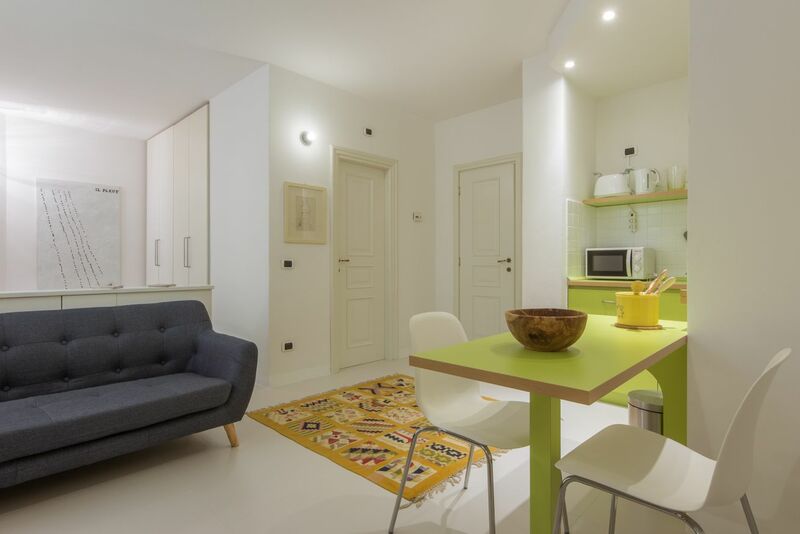 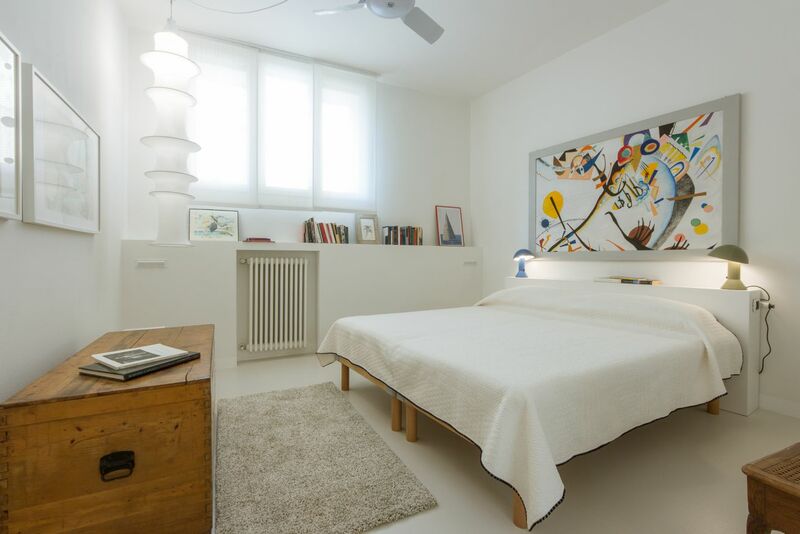 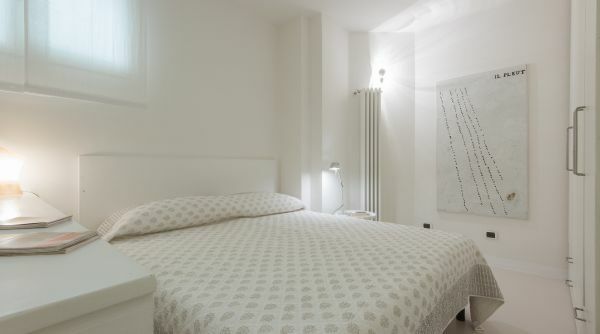 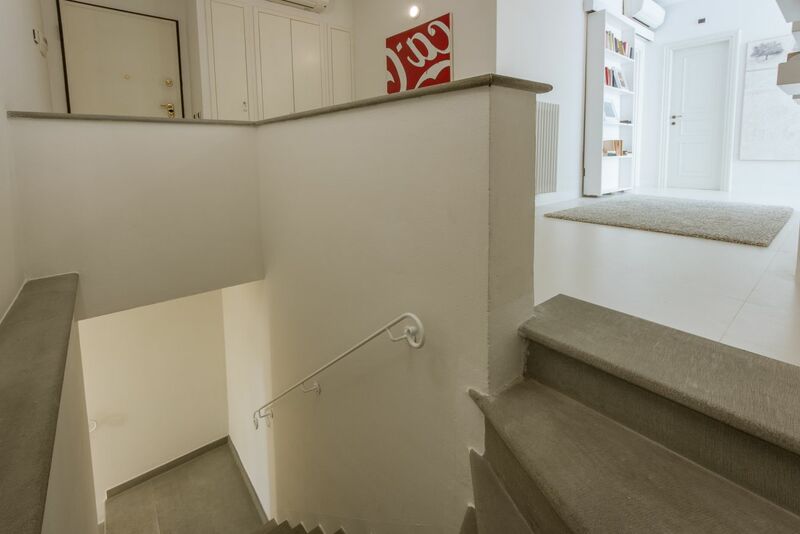 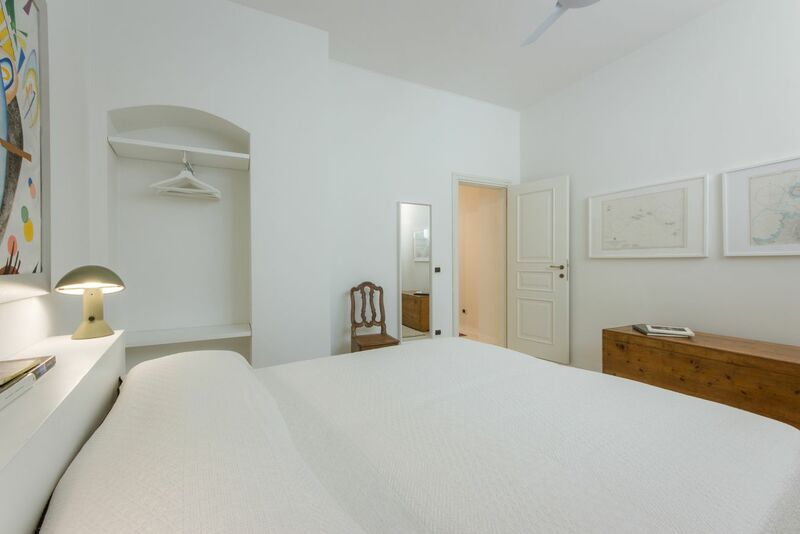 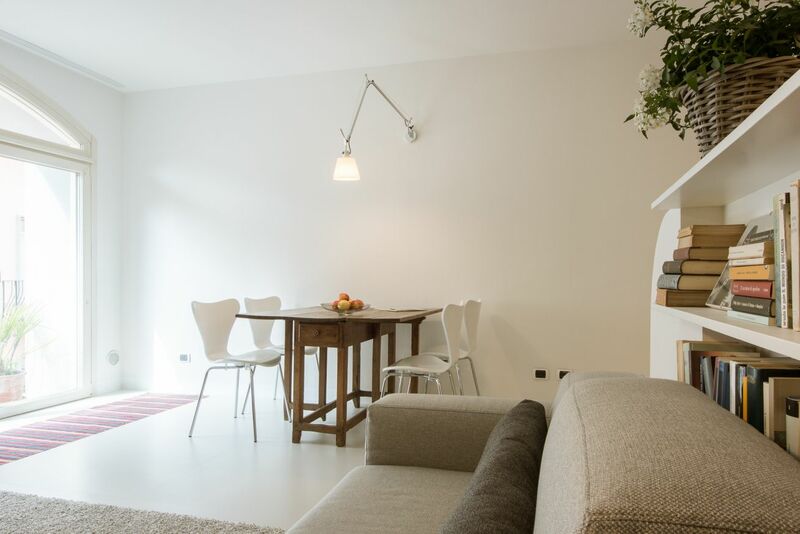 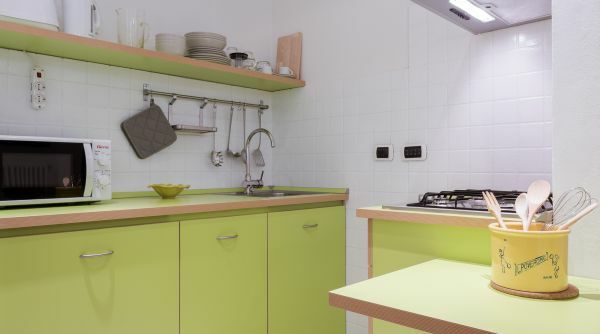 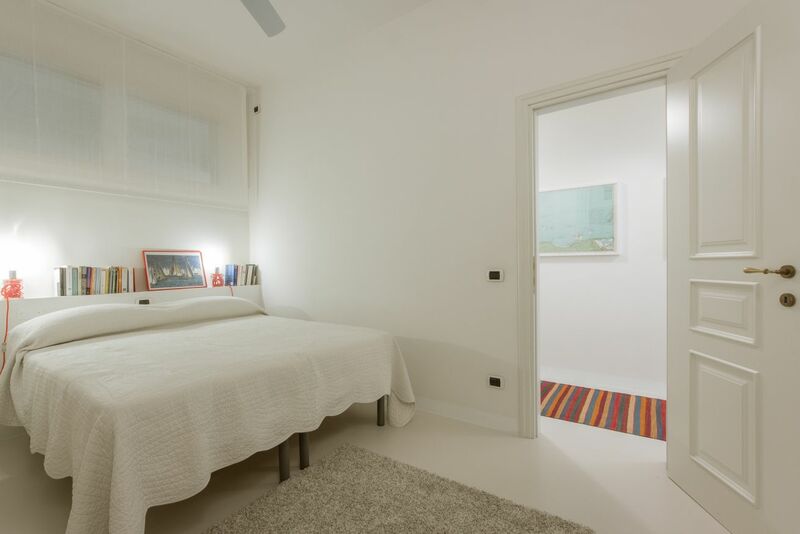 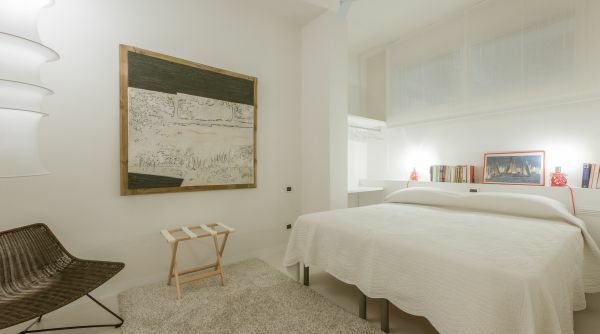 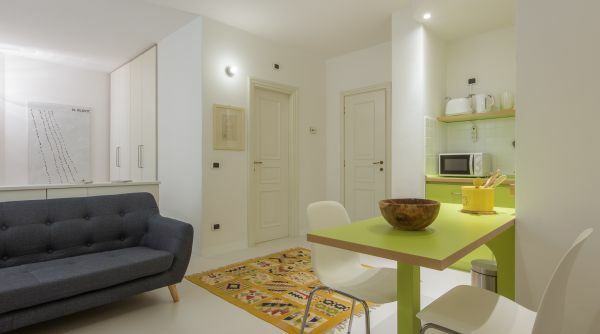 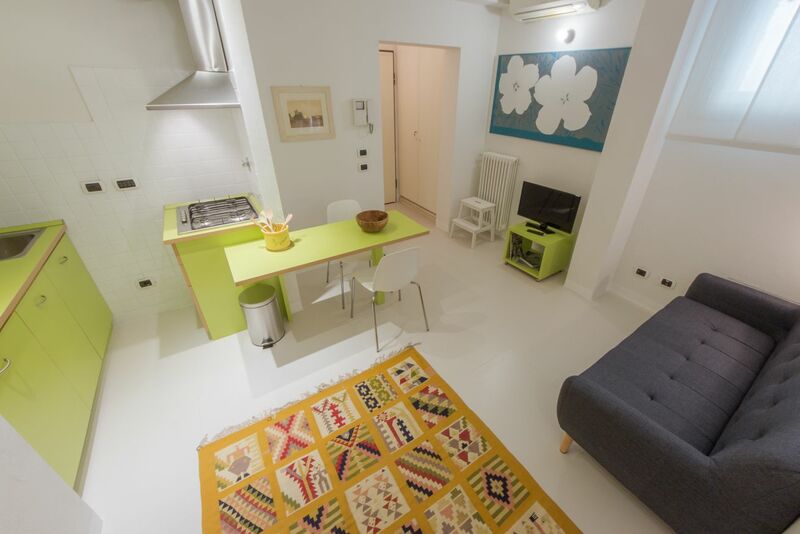 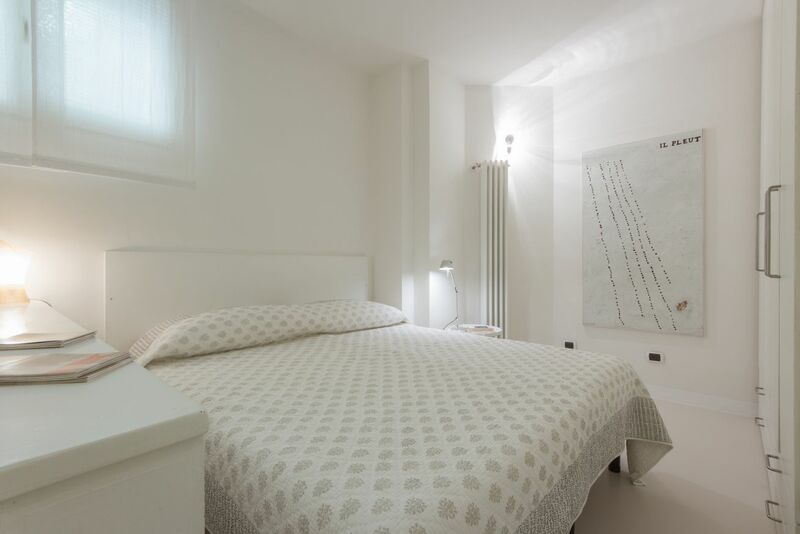 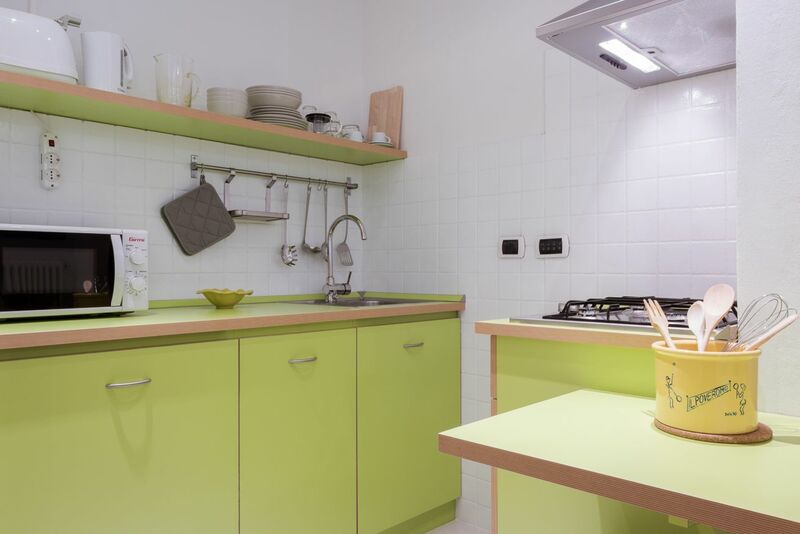 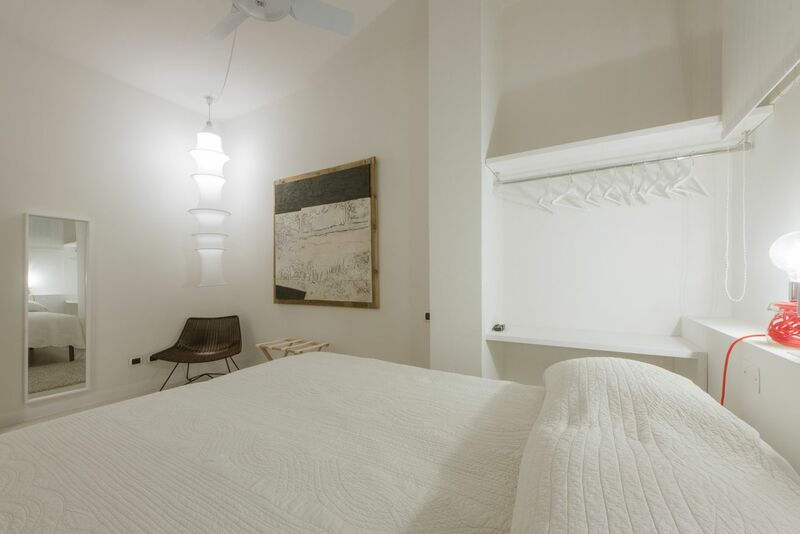 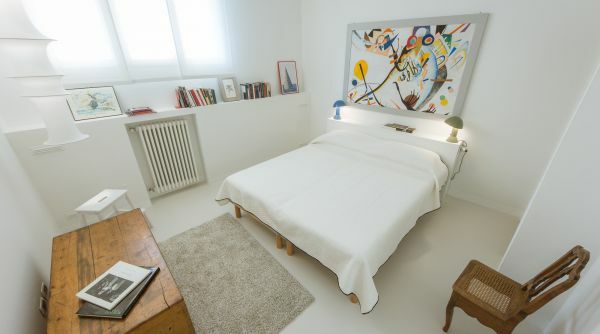 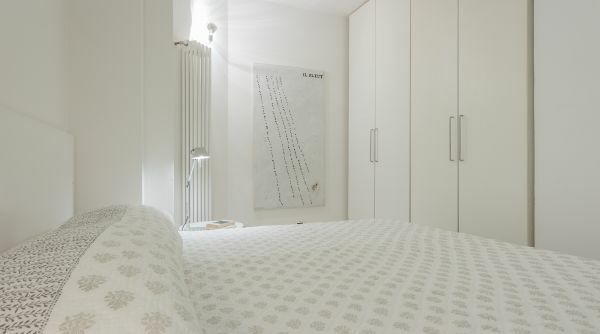 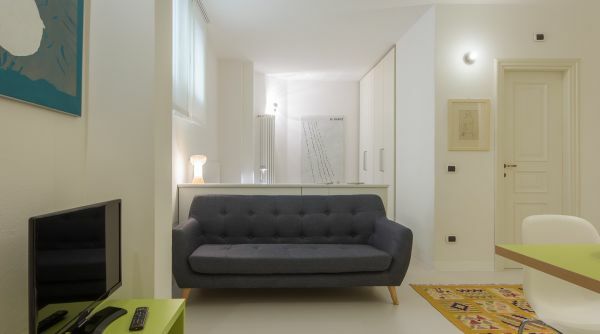 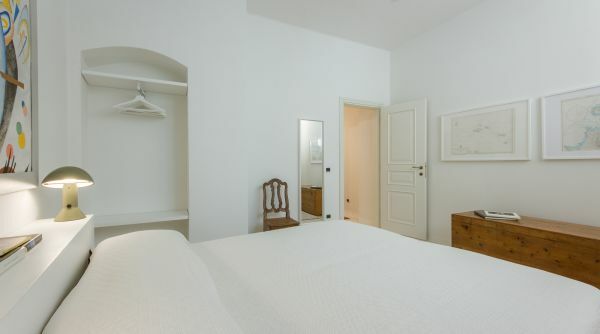 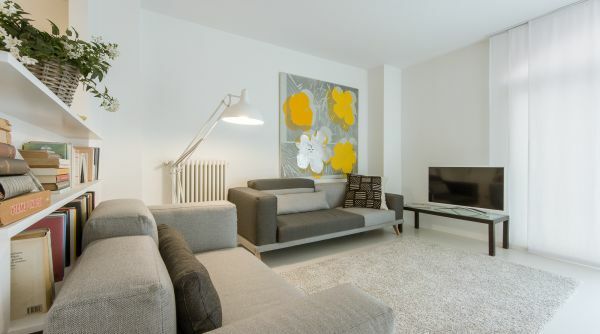 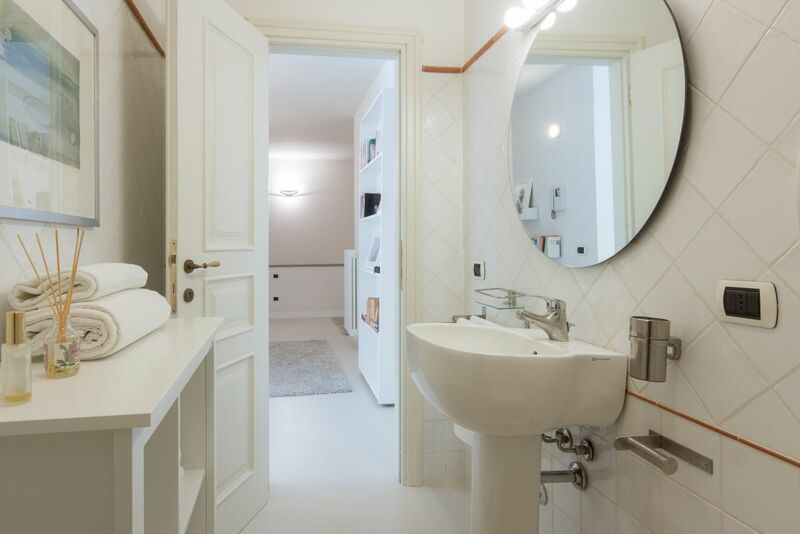 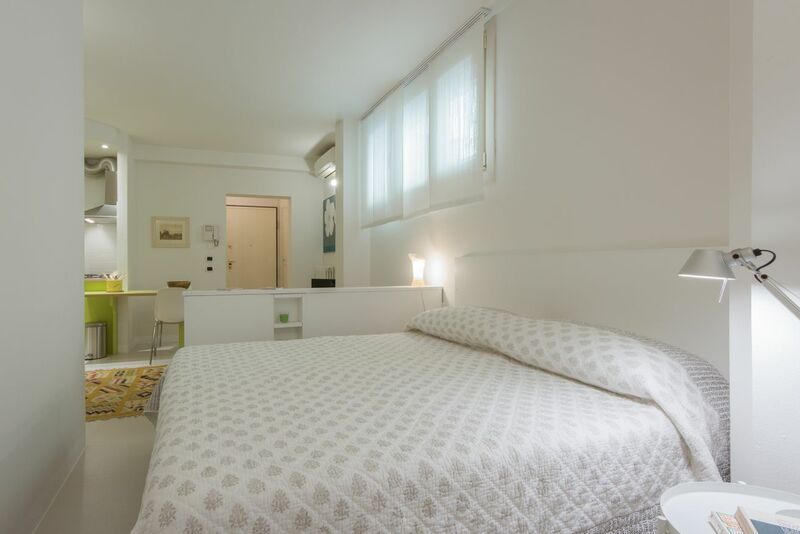 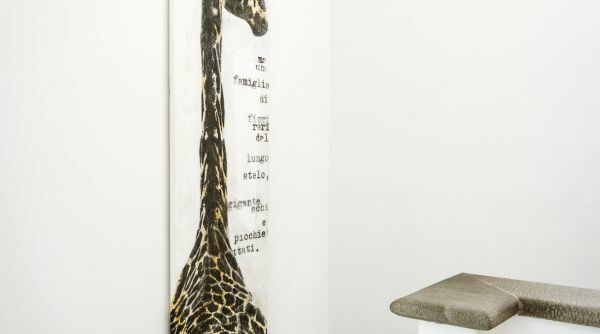 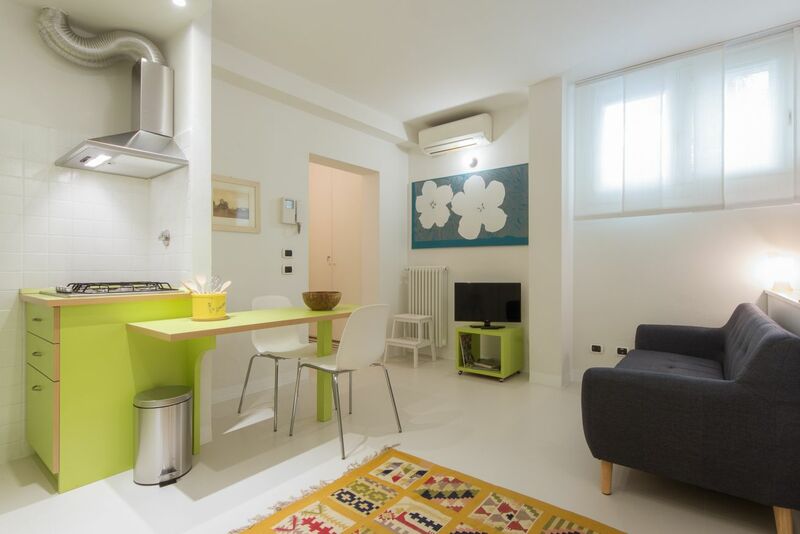 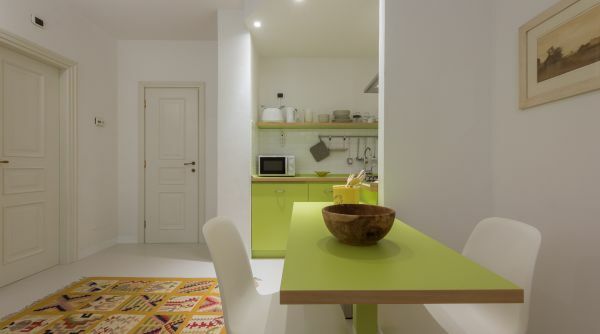 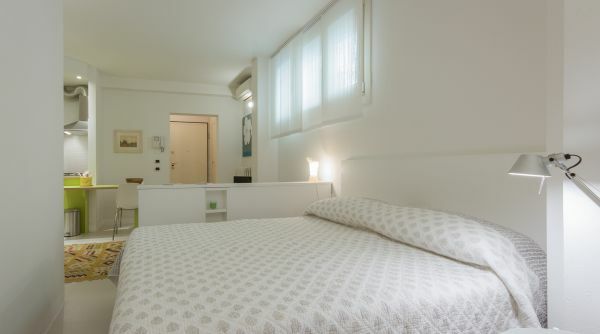 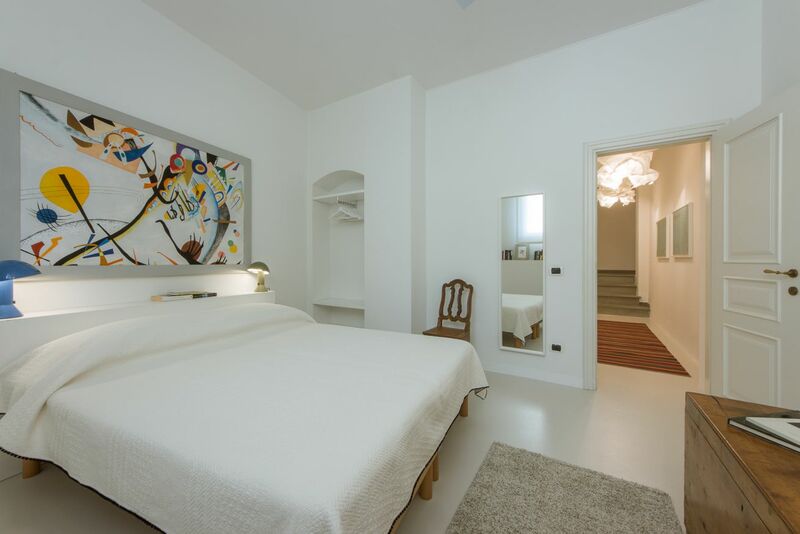 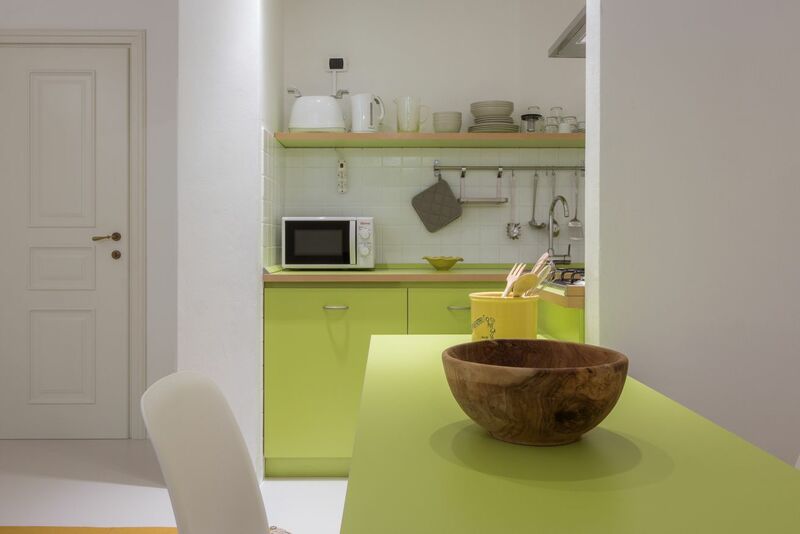 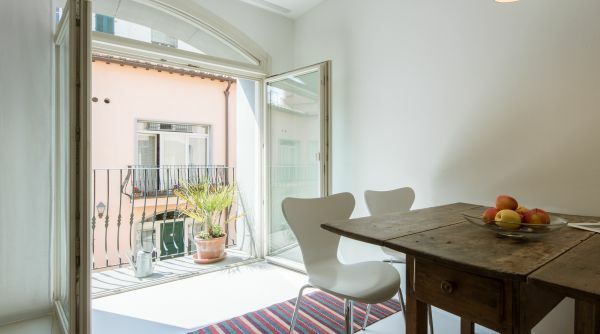 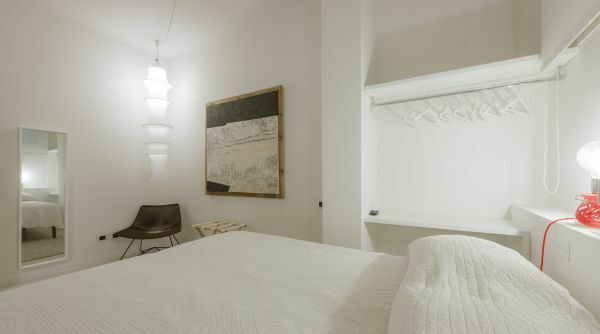 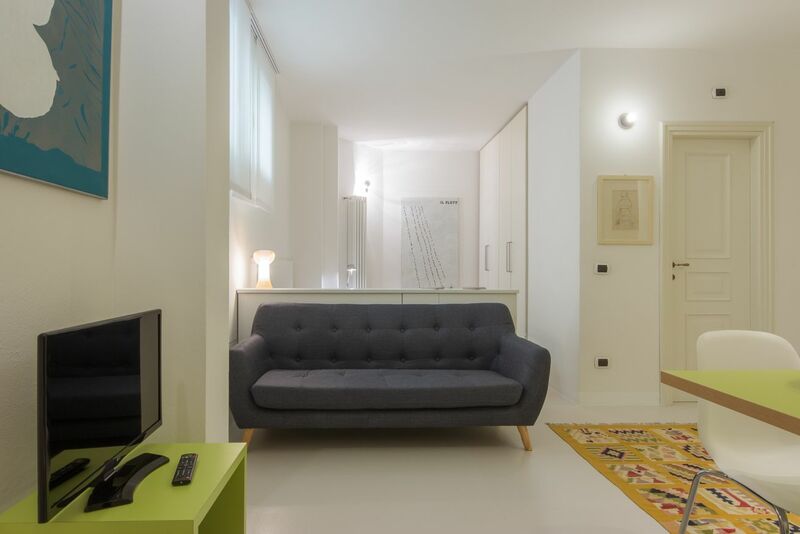 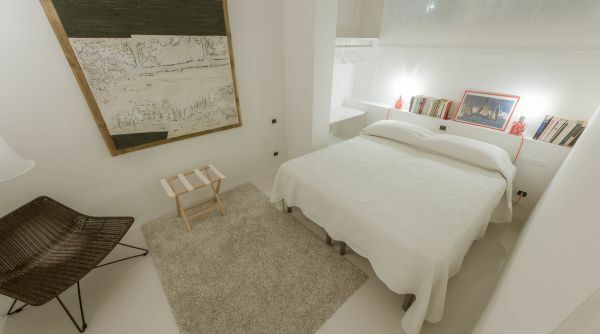 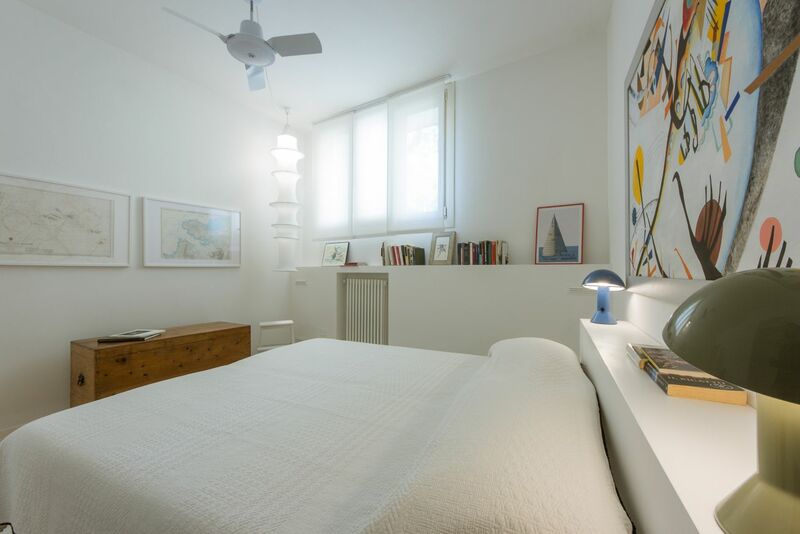 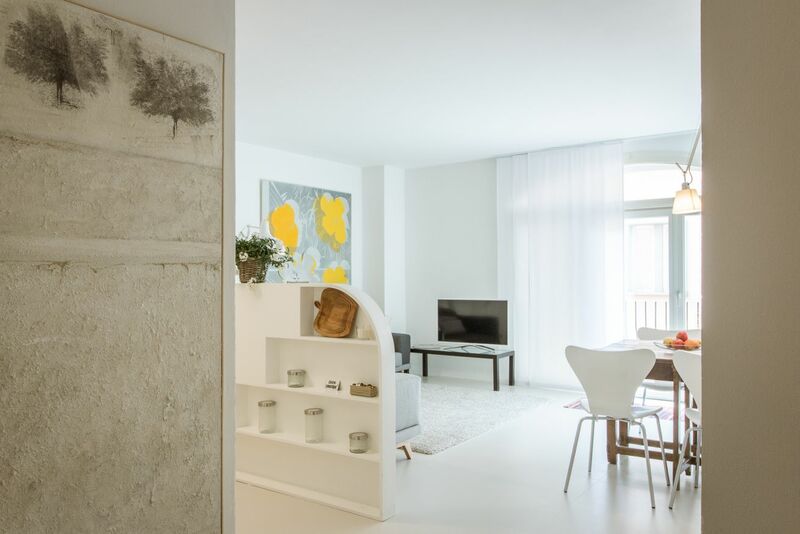 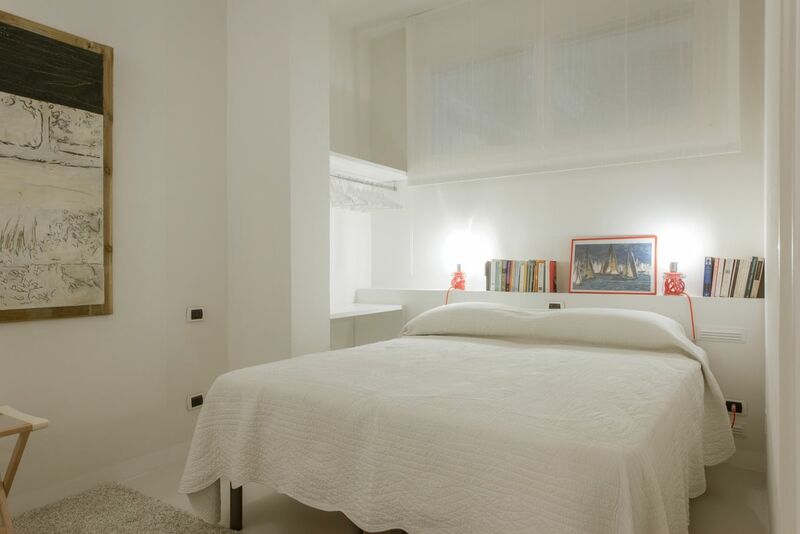 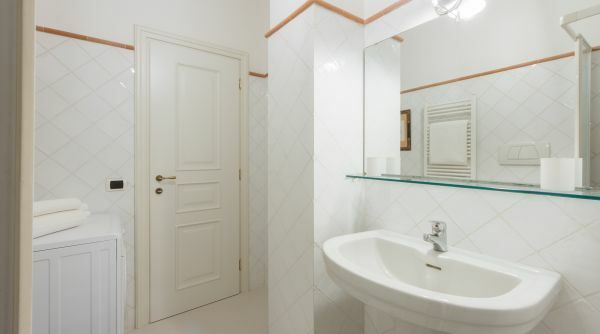 This sleek, bright, and spacious holiday rental is located close Michelangelo’s home and only short distances from Piazza Santa Croce and Sant’Ambrogio’s daily farmers market. 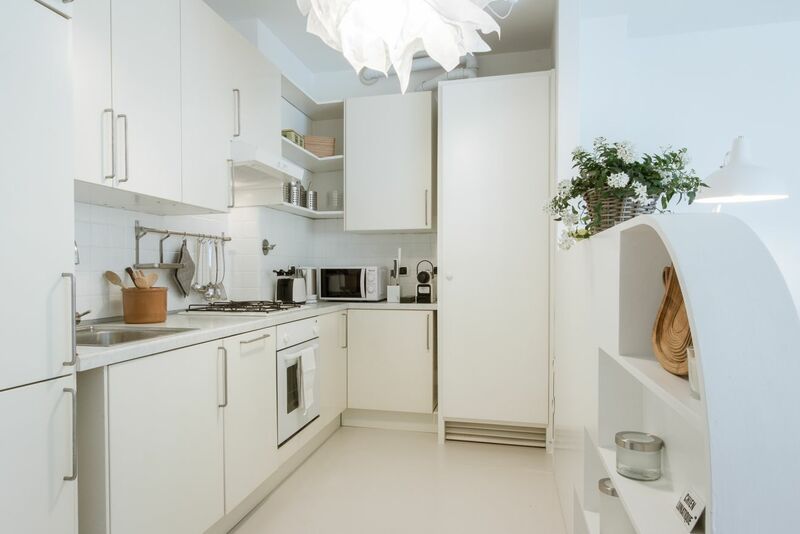 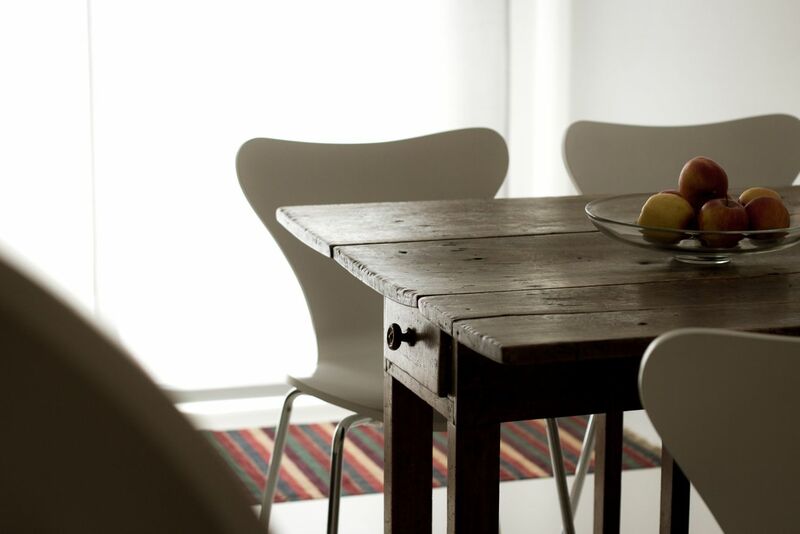 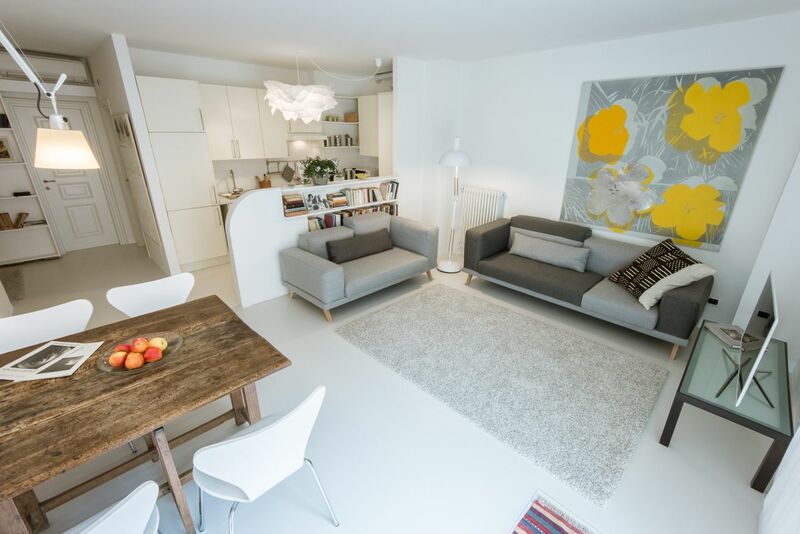 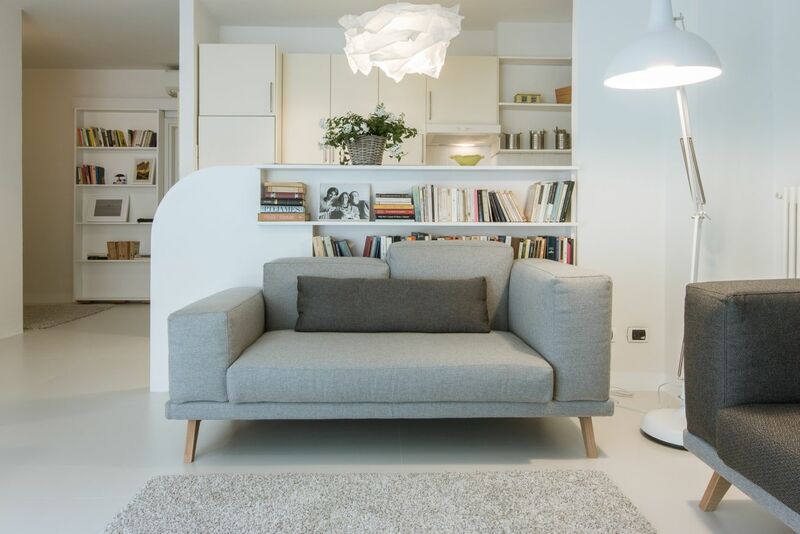 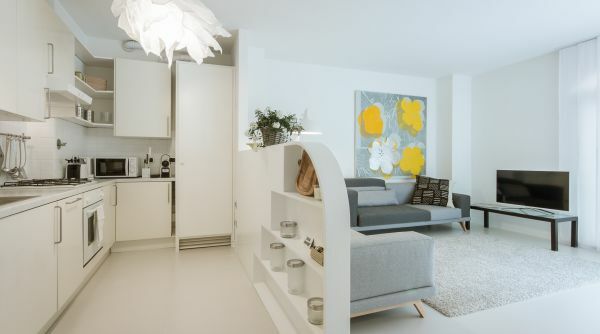 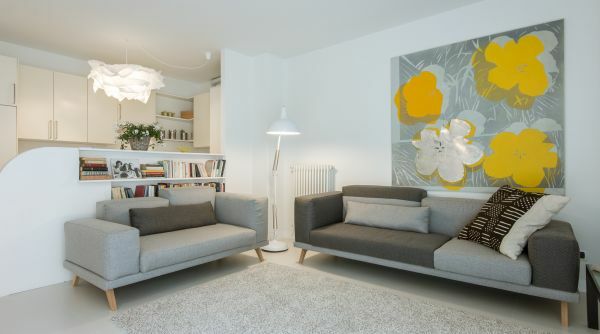 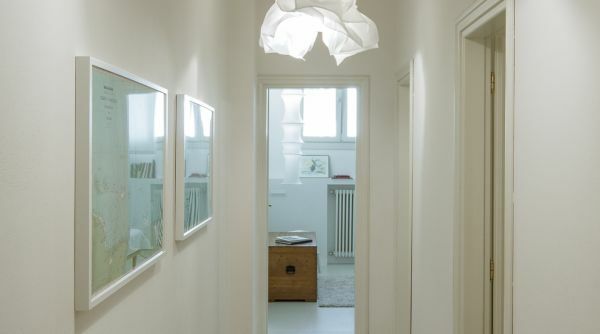 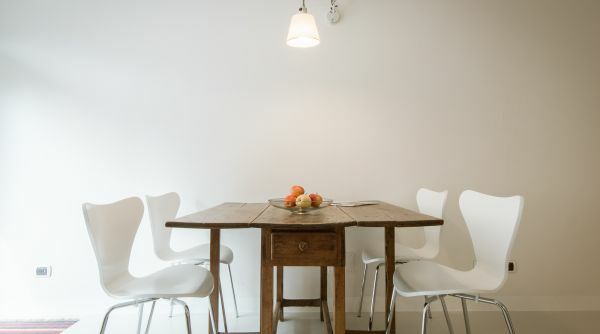 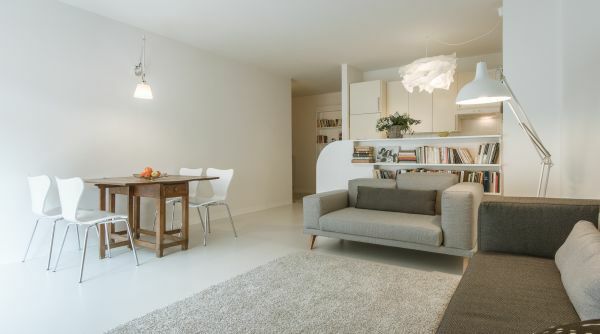 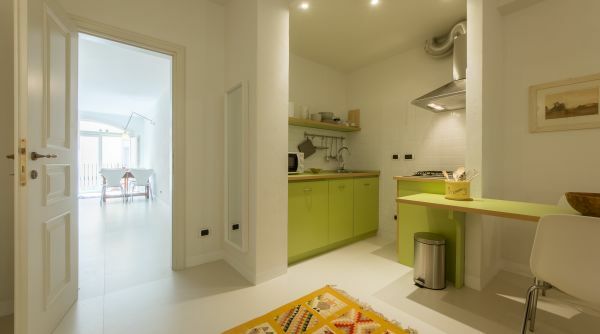 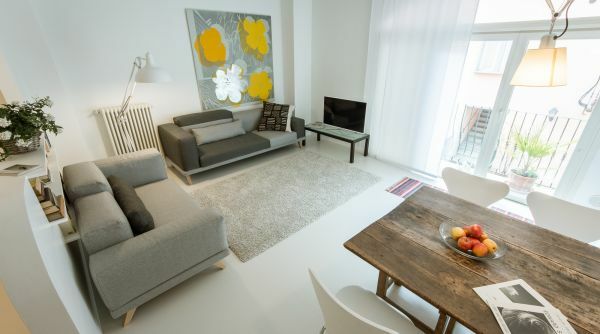 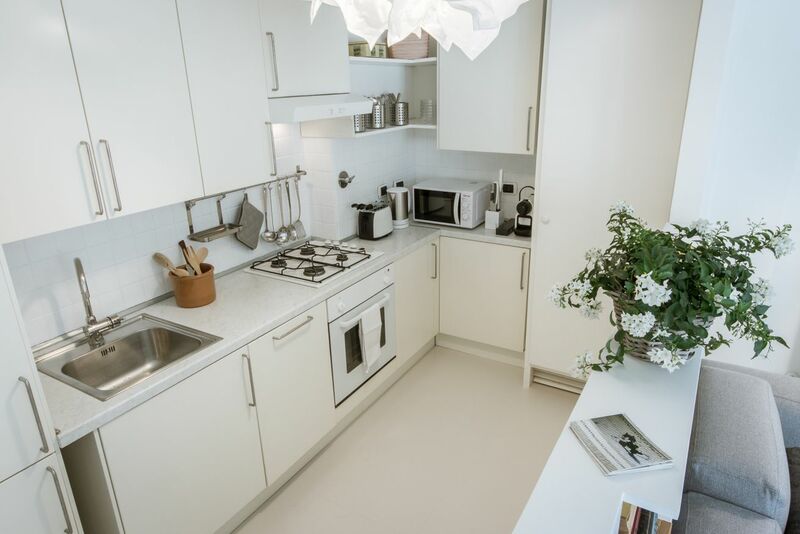 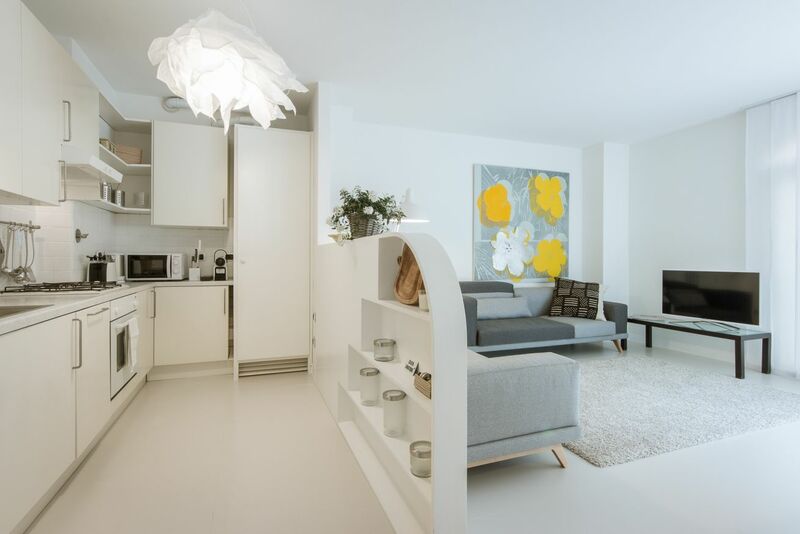 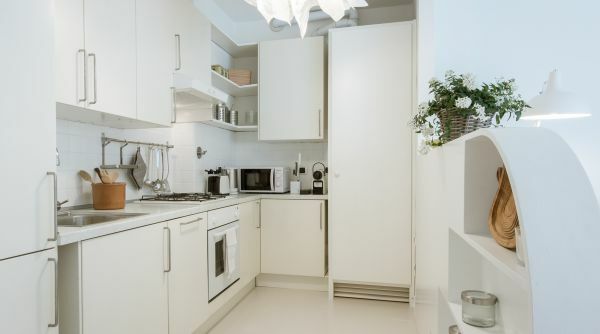 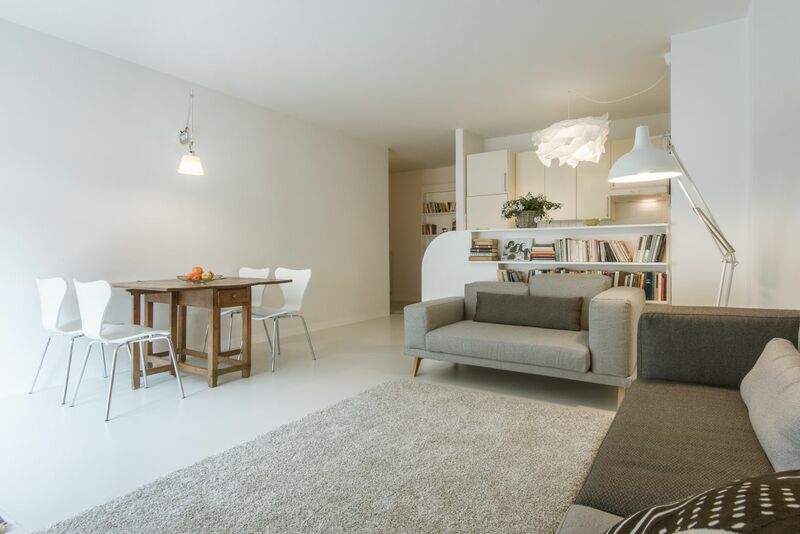 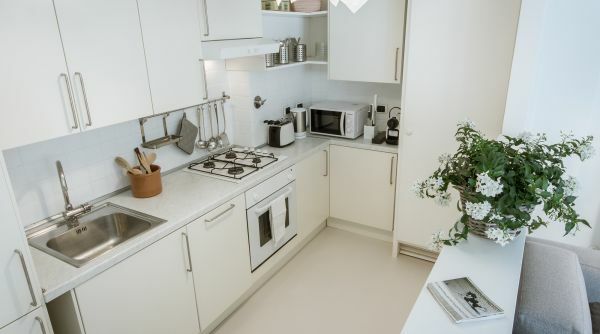 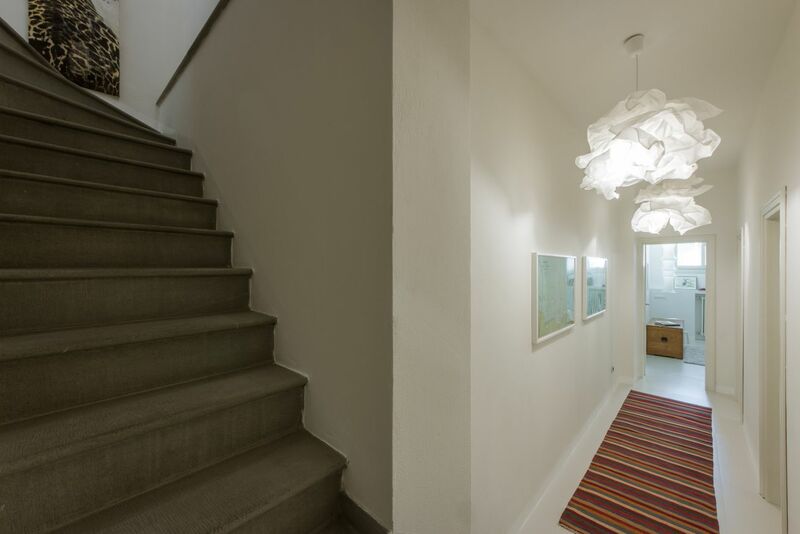 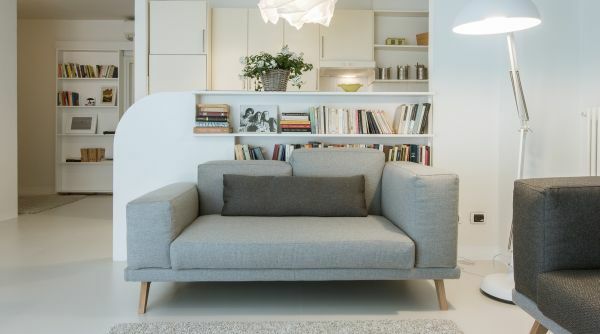 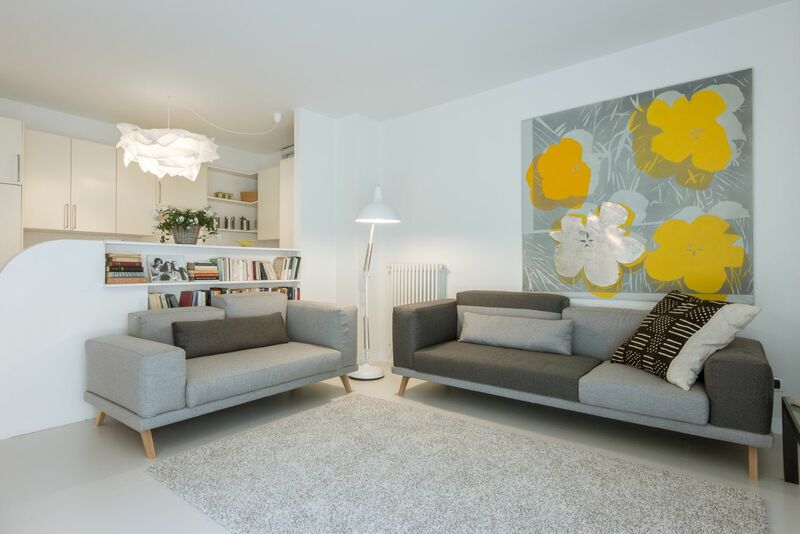 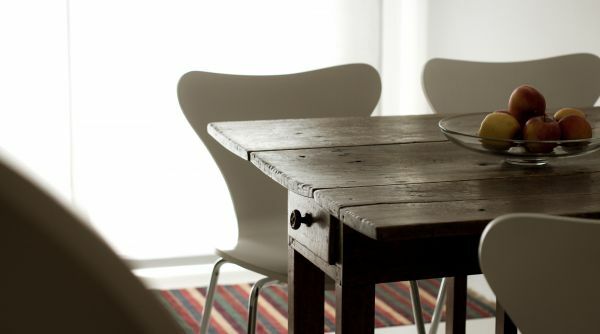 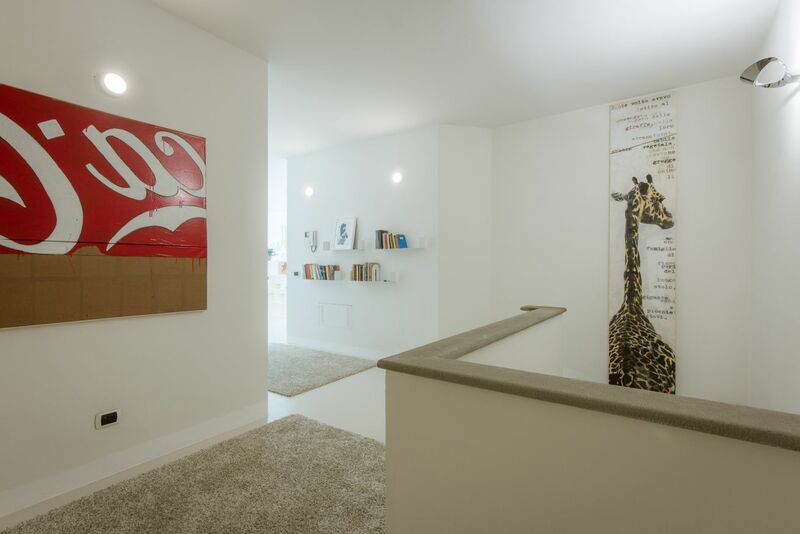 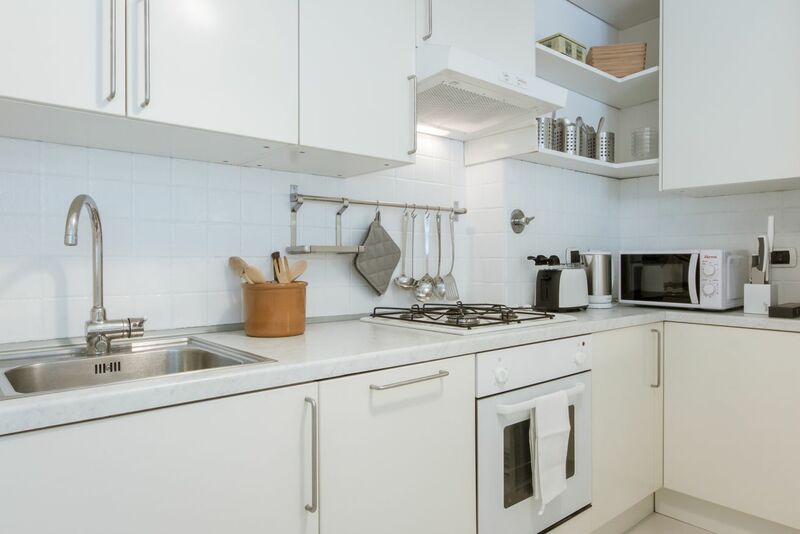 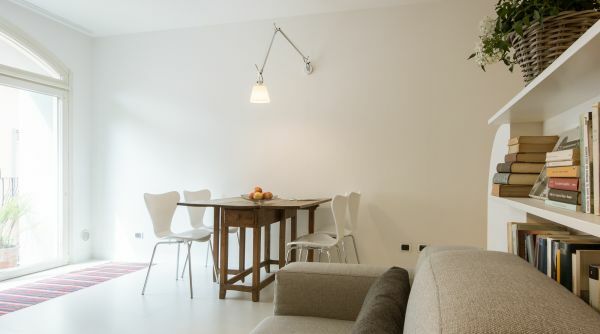 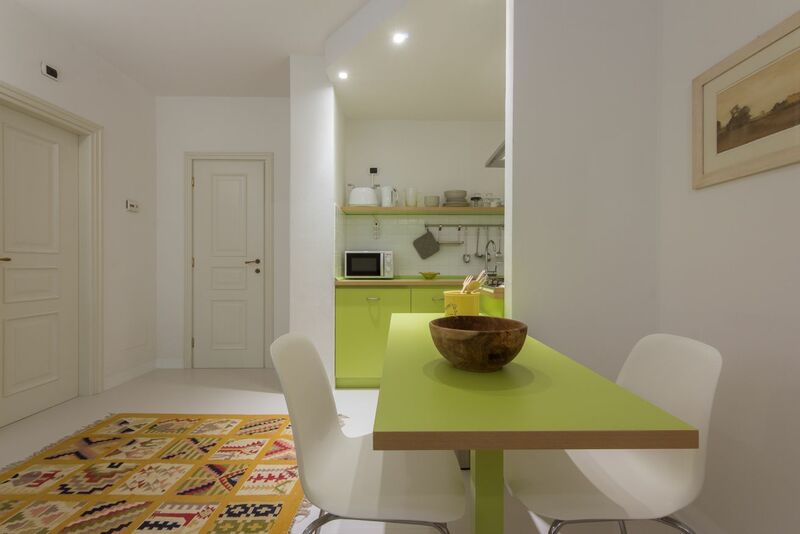 This first floor (two up) apartment has been tastefully renovate	d and refurbished making it very sleek and luminous. 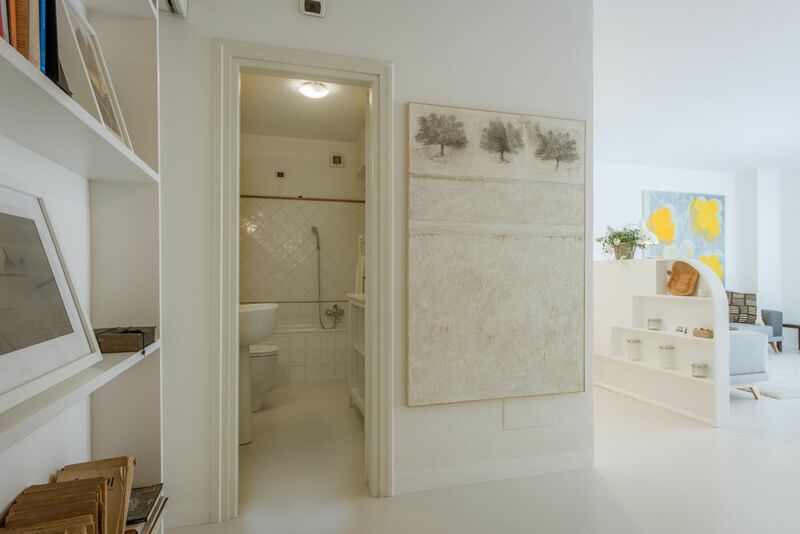 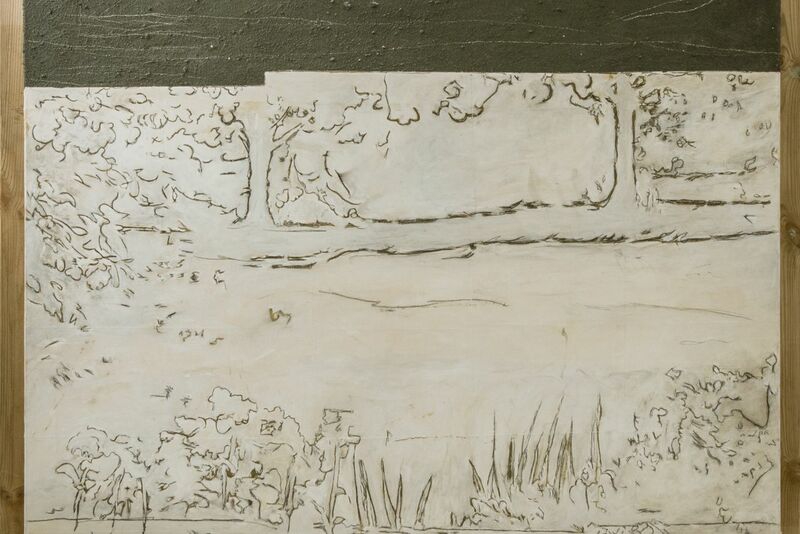 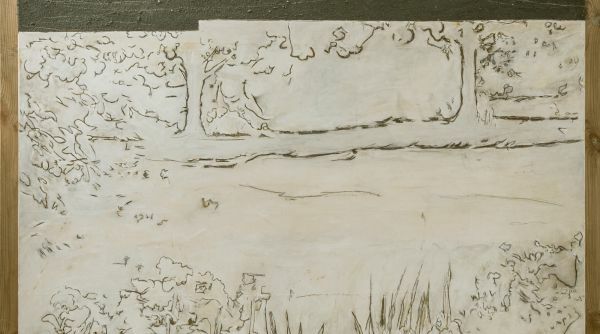 It is tranquil and bright thanks to its location. 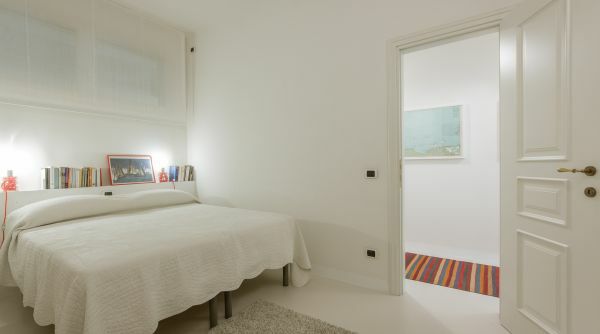 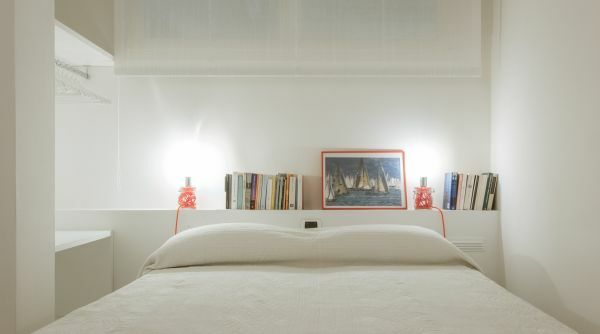 Two of the bedrooms are on the lower level of the apartment making them quite cosy and isolating them from noise. 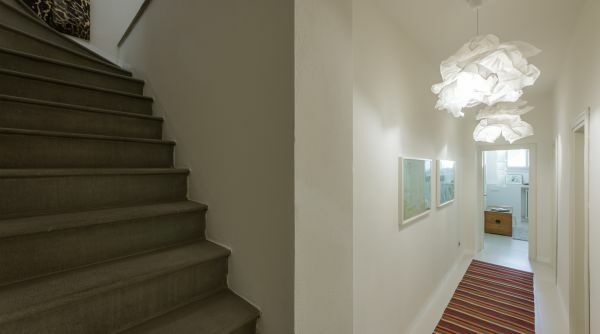 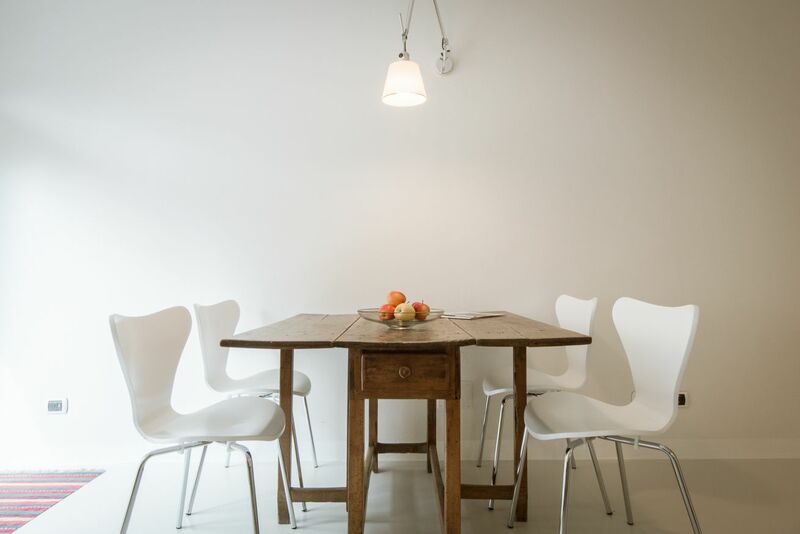 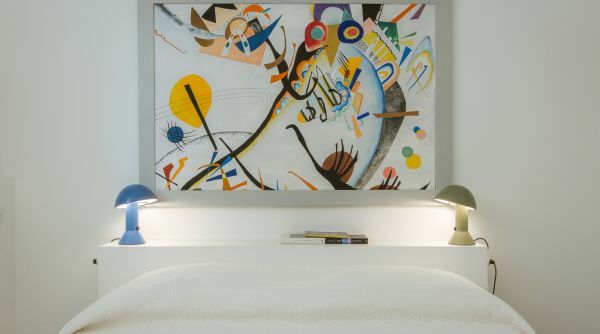 The décor is minimal which highlights the sleekness of the property. 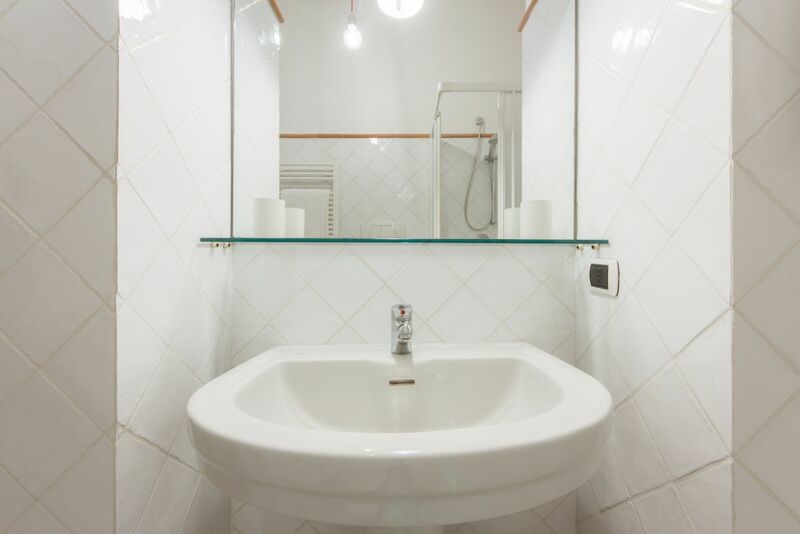 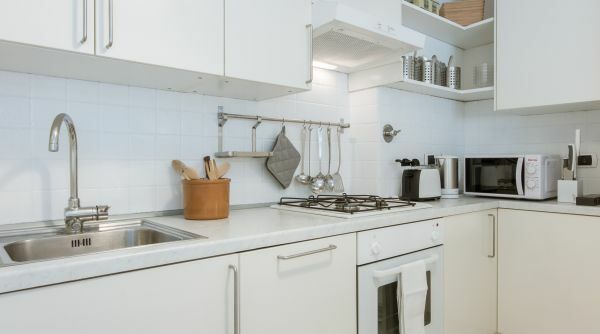 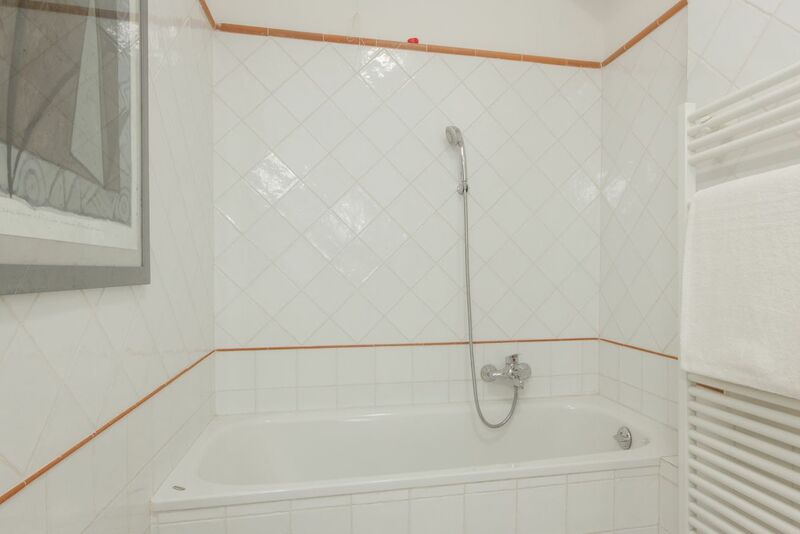 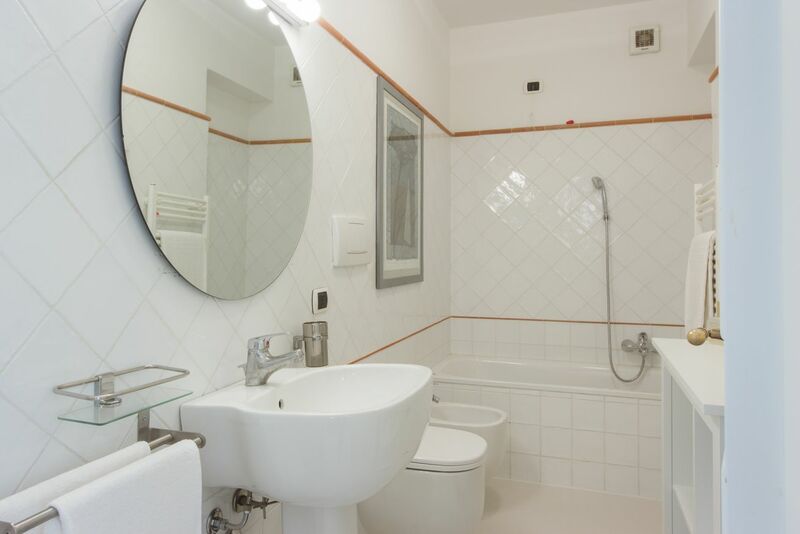 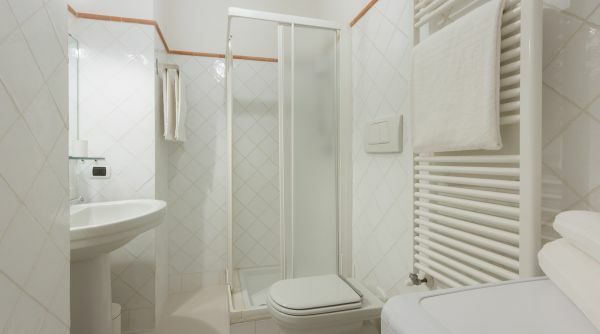 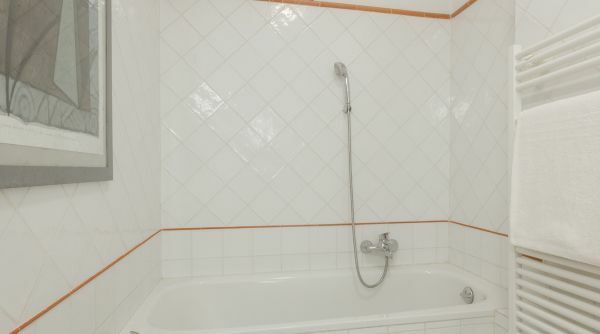 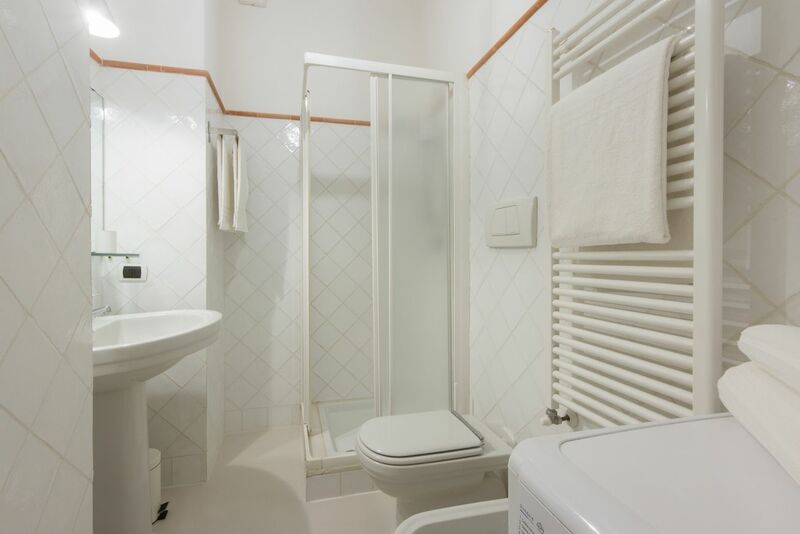 • Three bedrooms and two bathrooms – two kitchens on premises.